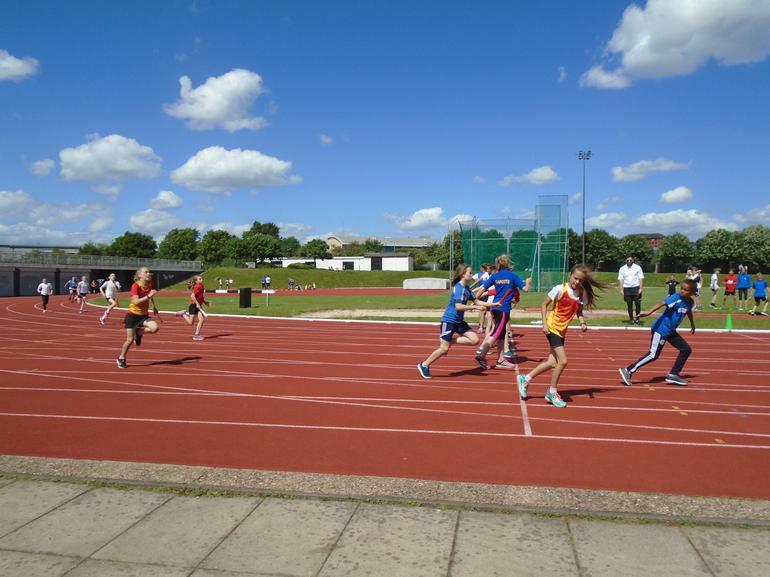 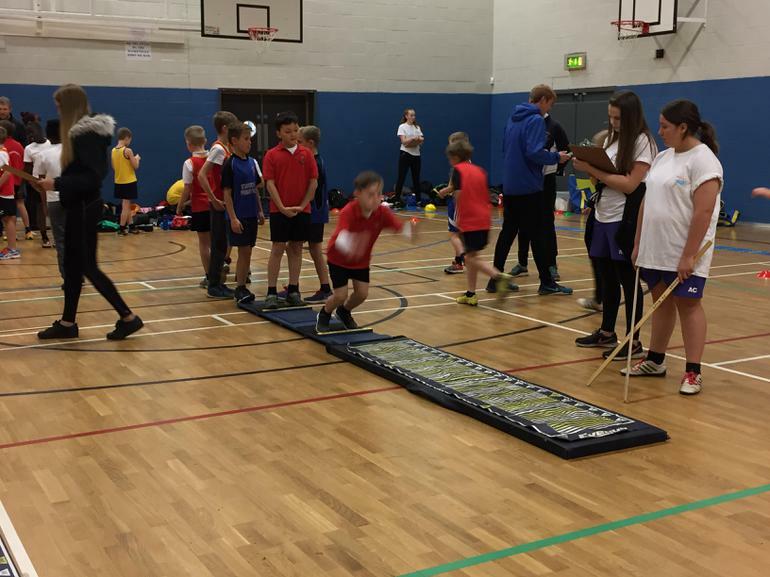 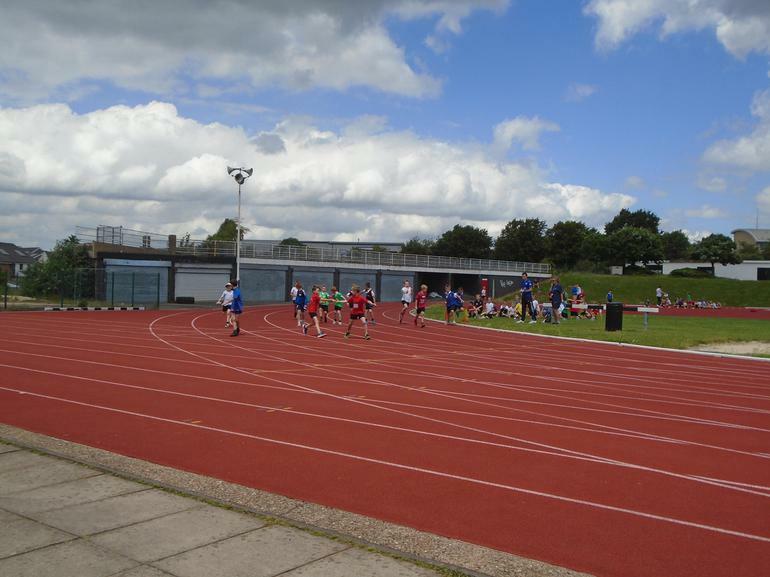 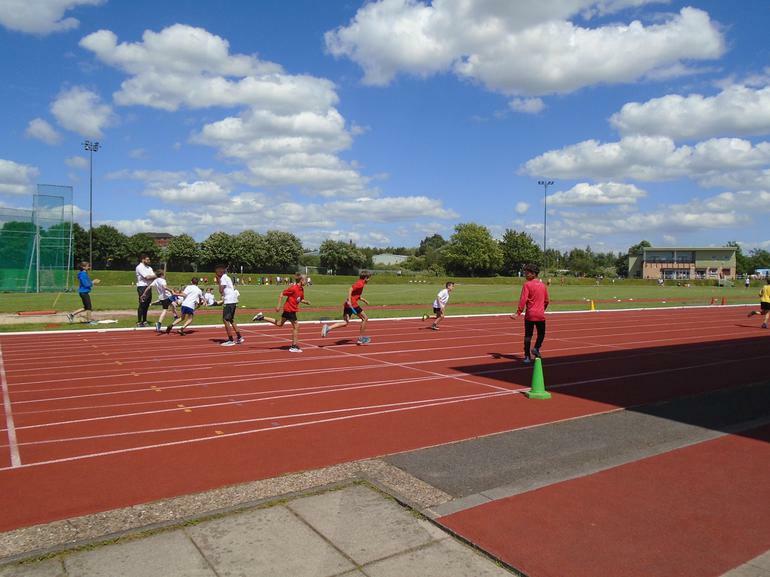 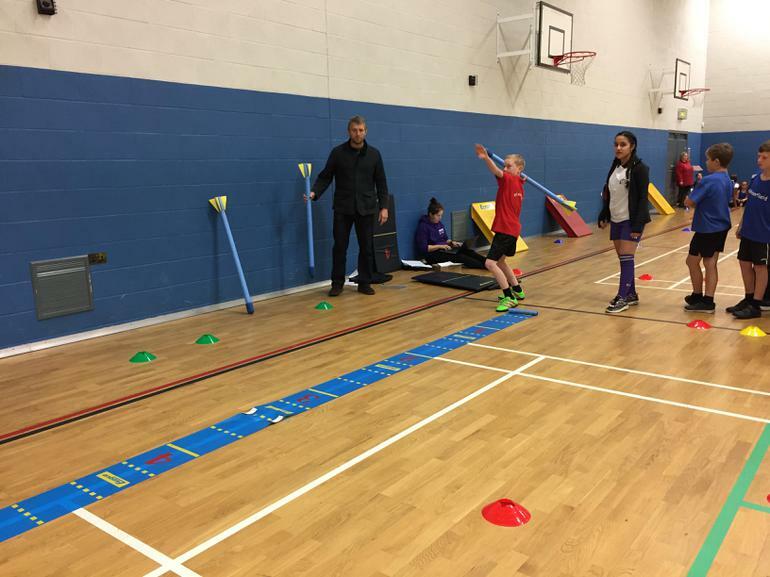 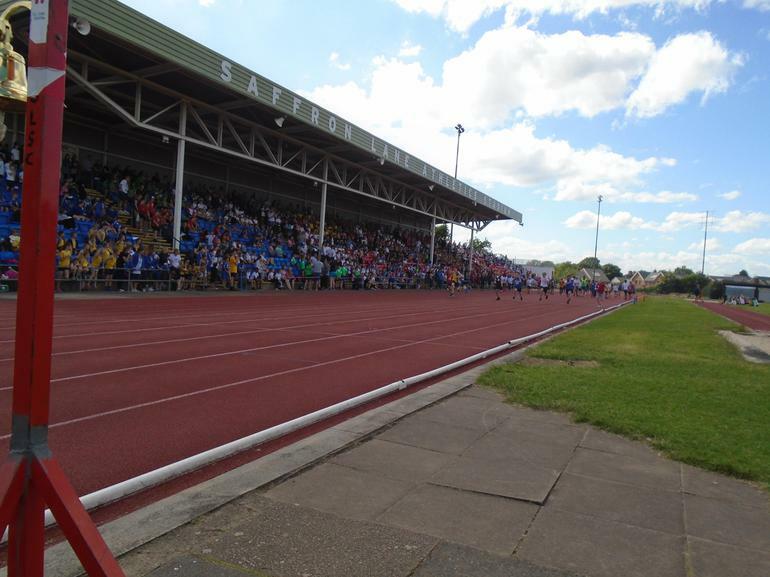 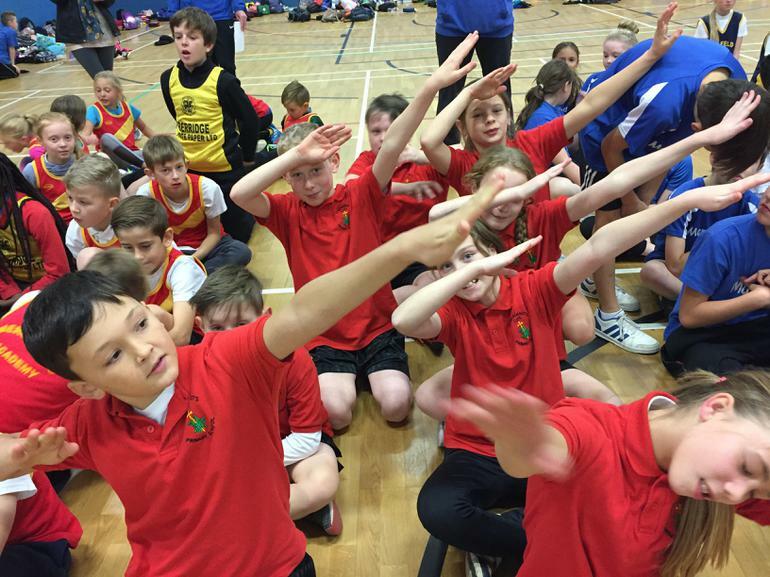 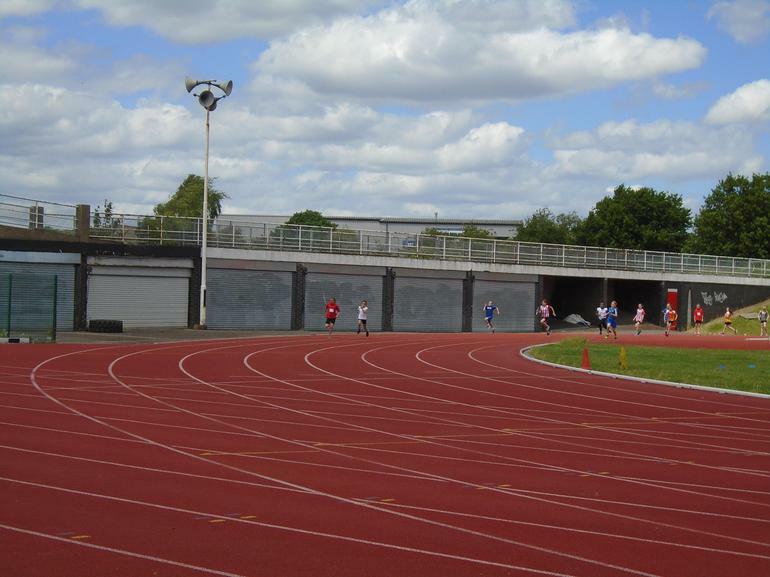 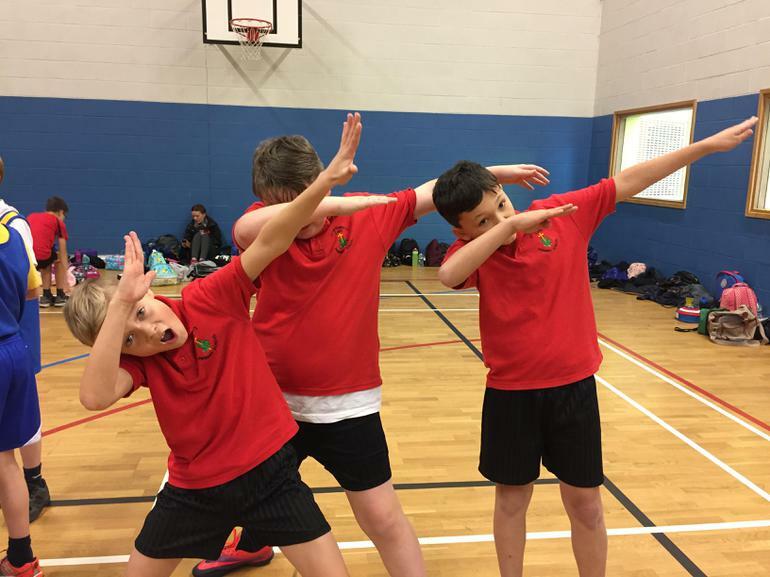 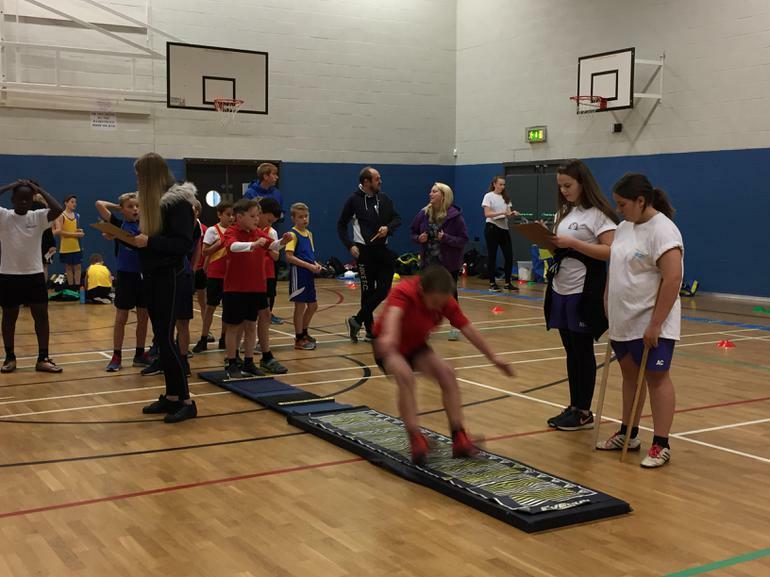 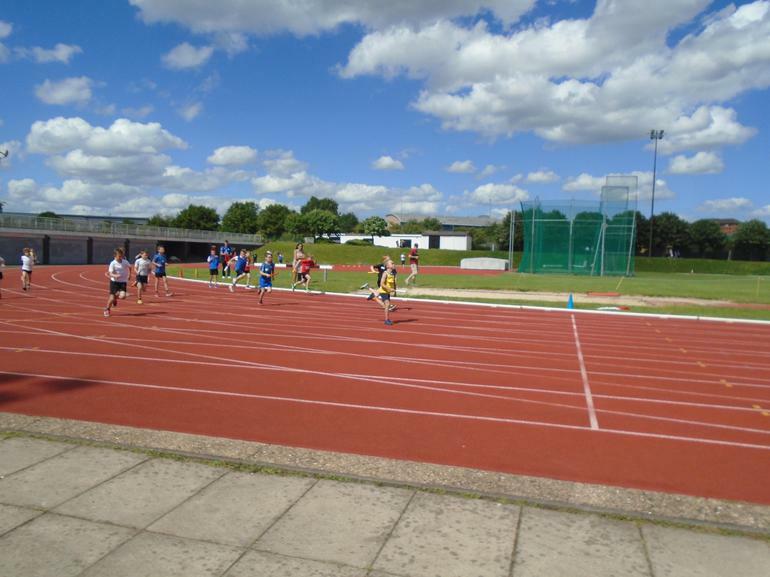 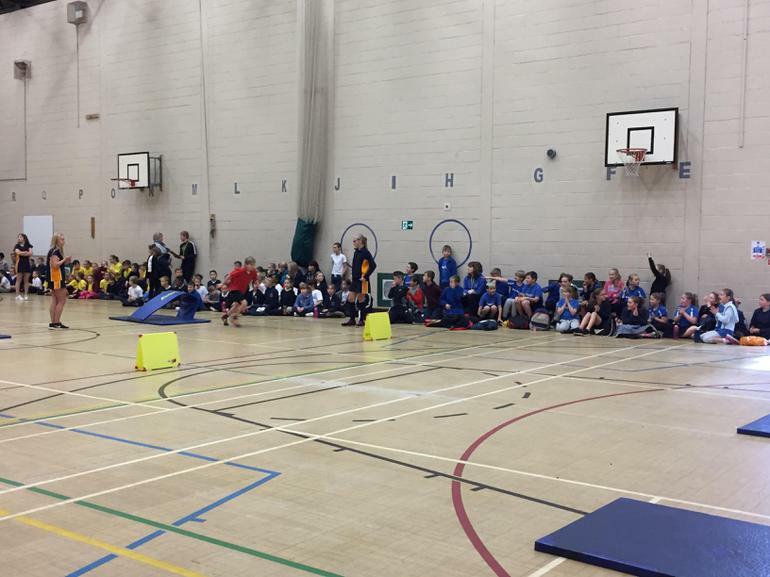 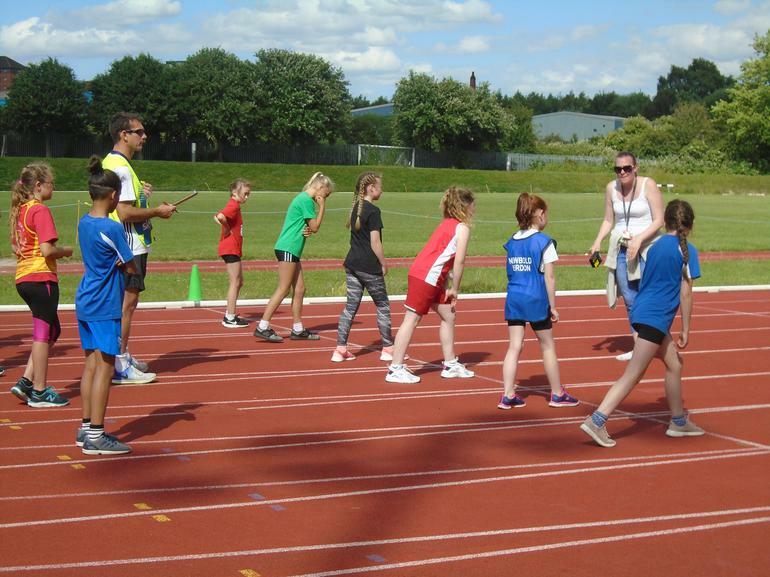 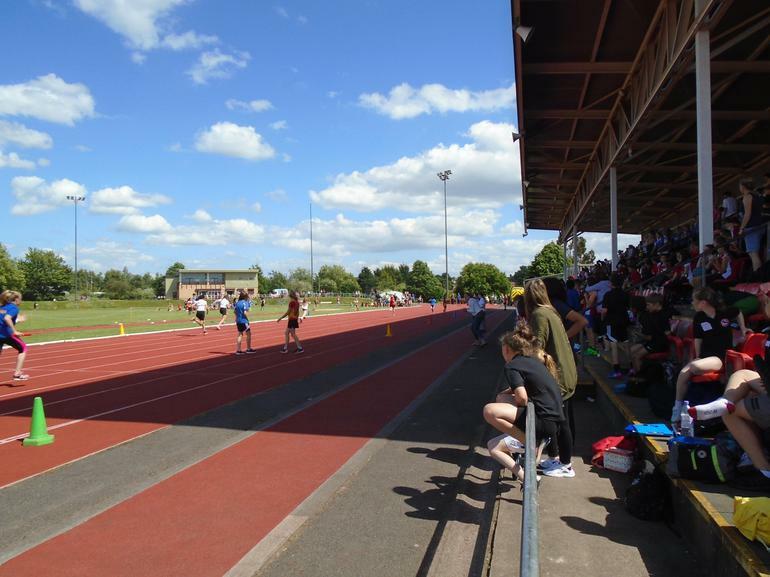 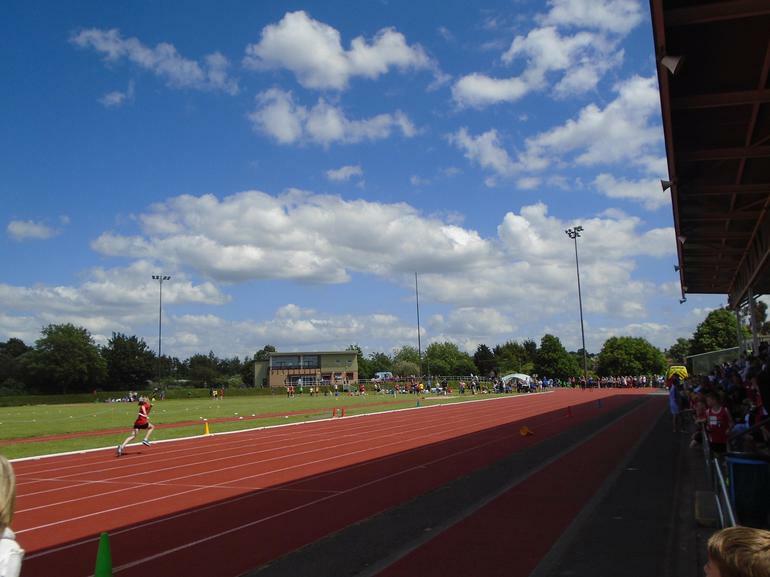 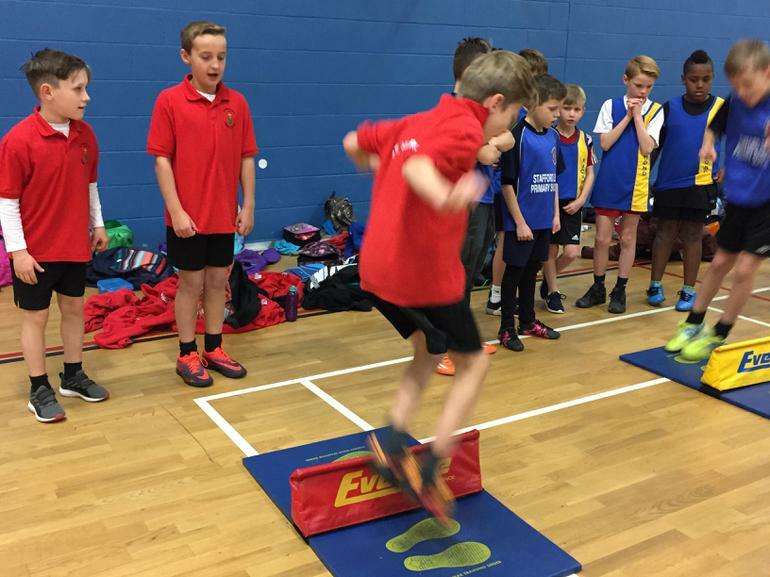 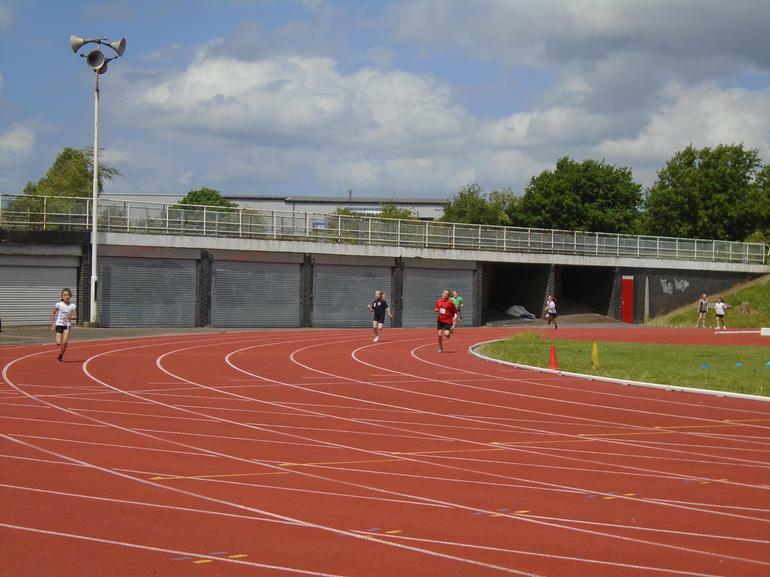 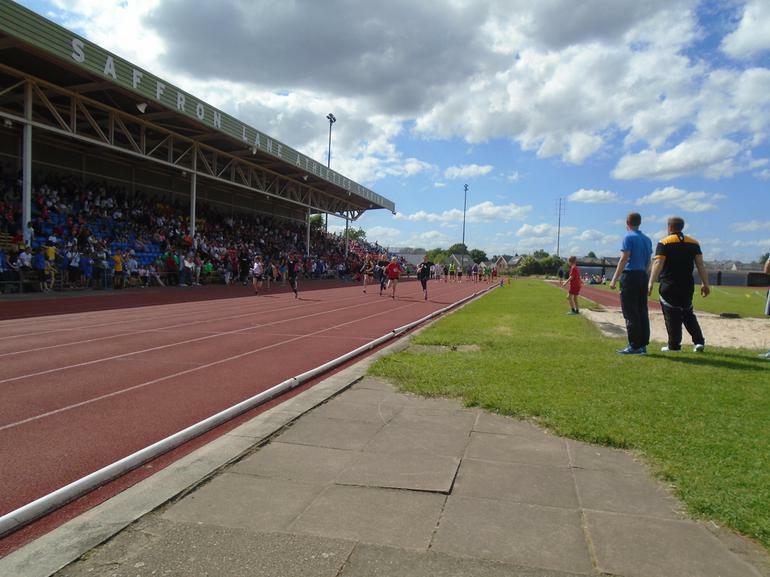 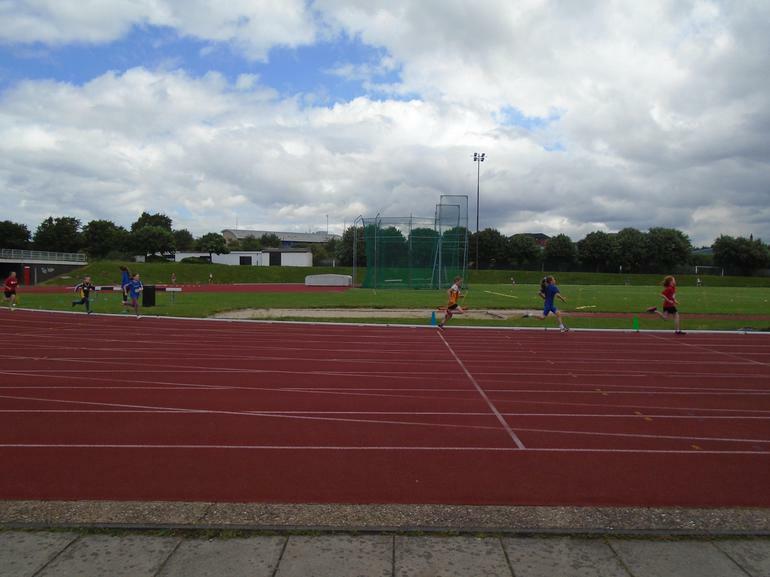 On Thursday, 31 children from Years 4, 5 and 6 travelled to Saffron Lane sports stadium in Leicester for the annual athletics competition. 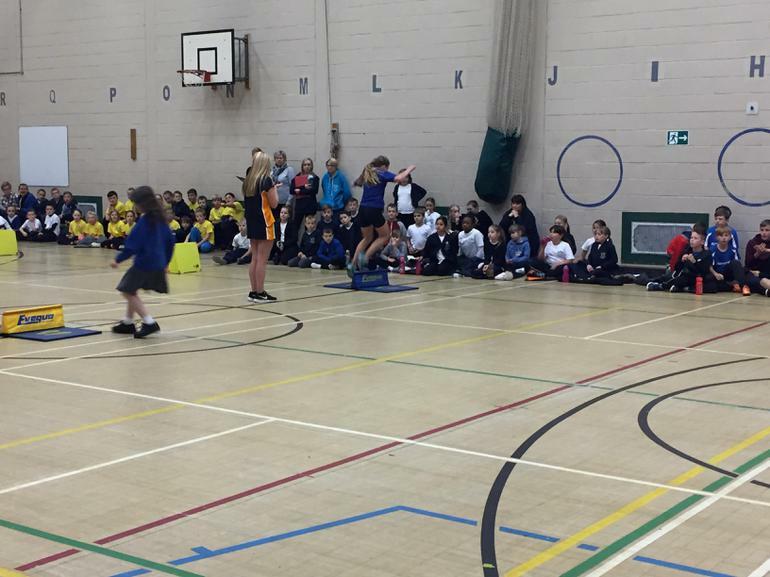 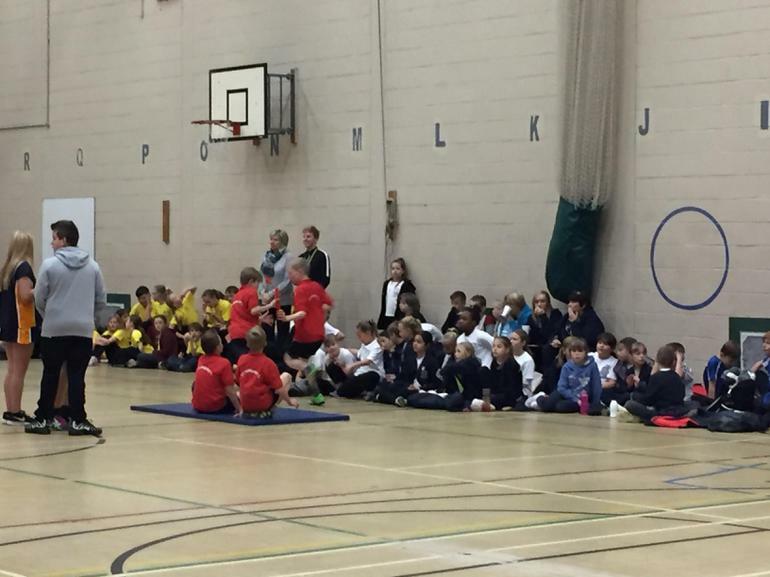 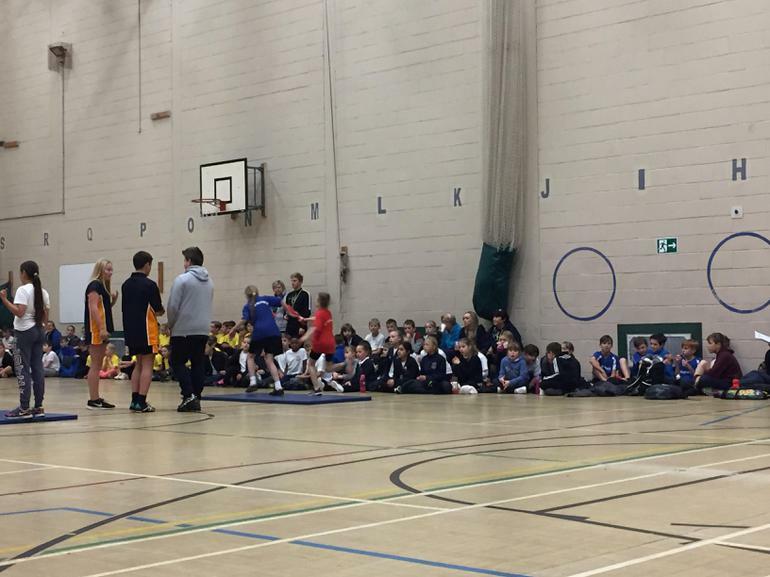 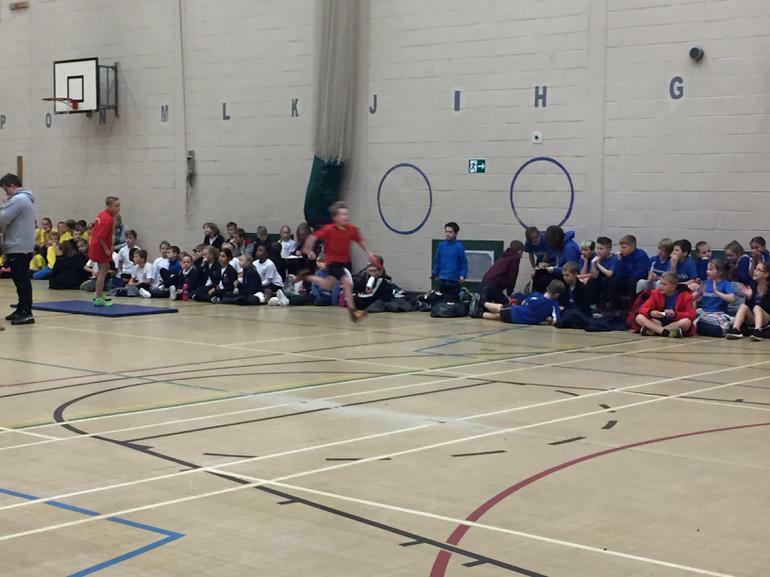 34 schools were competing and it was a very busy day but our children were fabulous! 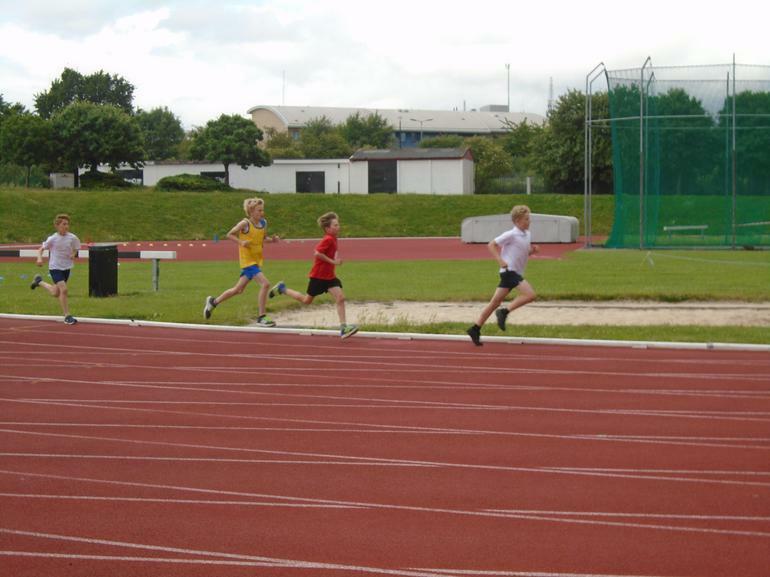 The events began with the 800m and we had some super results with both Henry & Maisie coming in the top 10 and Thomas coming in 3rd! 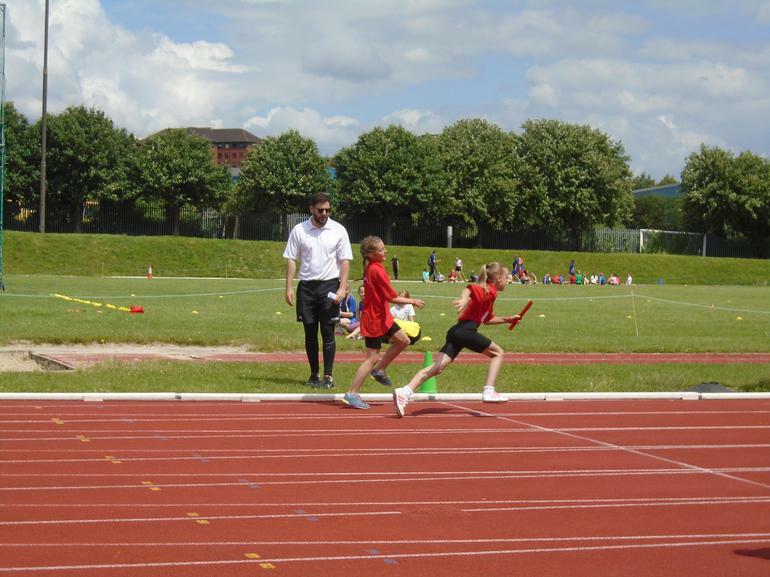 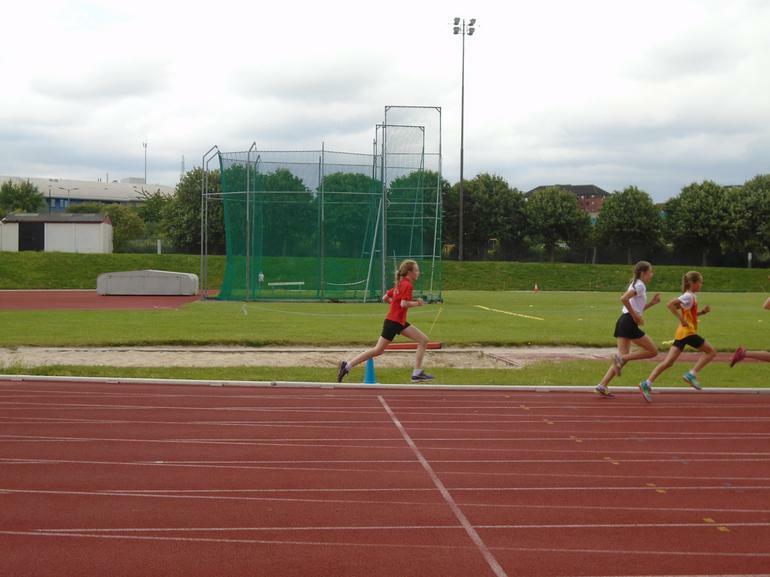 The relay teams were next and clearly showed that we have some really talented runners. 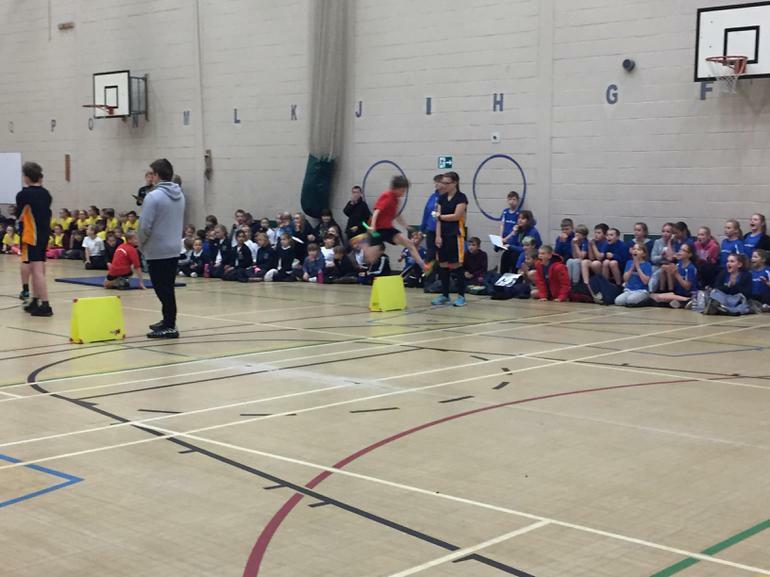 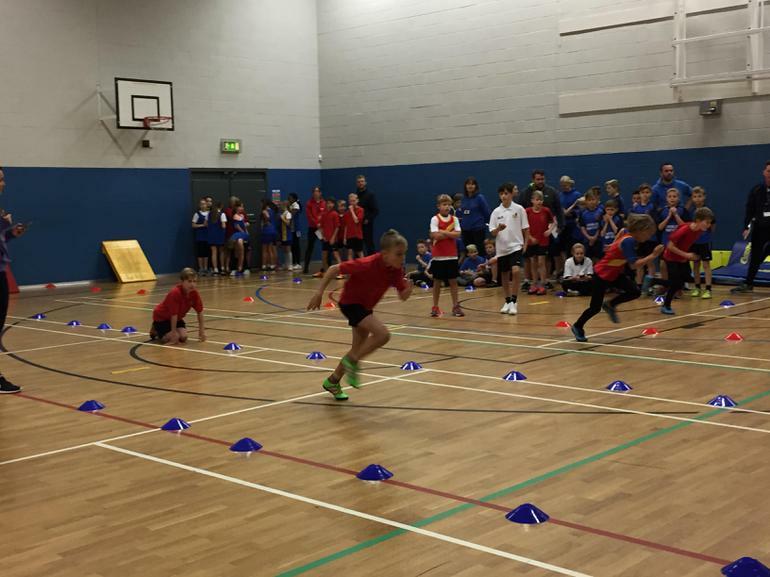 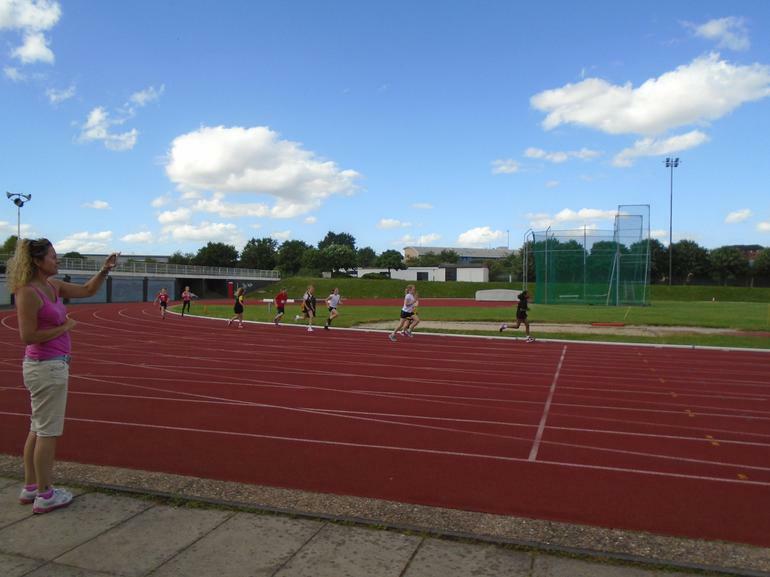 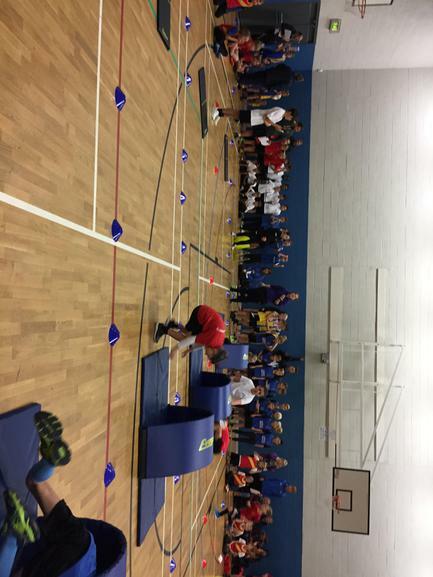 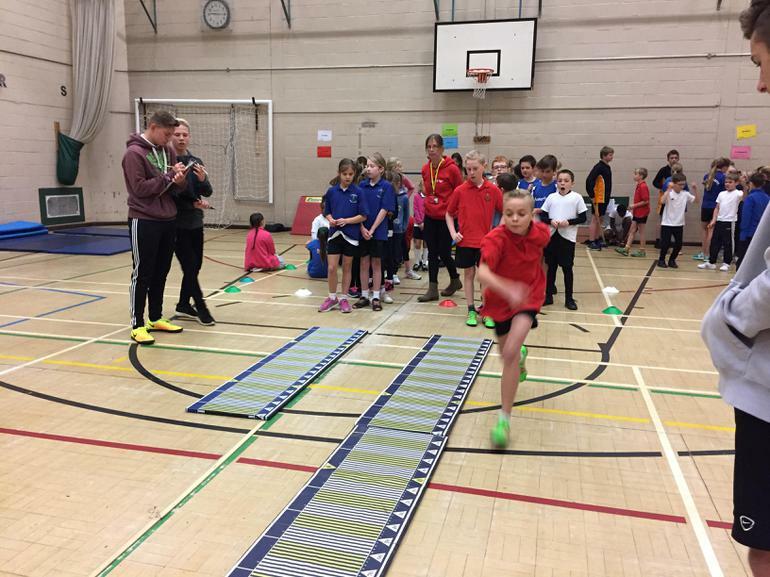 The Year 4 boys were the fastest qualifiers in the heats and they, along with the Year 5 girls, Year 6 girls and Year 6 boys all made it through to the finals. 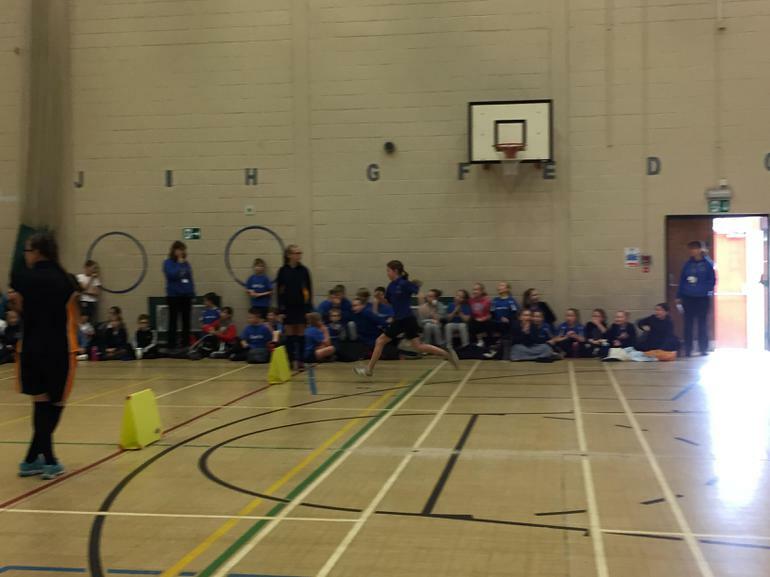 Year 4 boys finished 4th, Year 5 girls 1st and Year 6 boys and girls both finished in 3rd place ~ brilliant results considering there were 34 schools there! 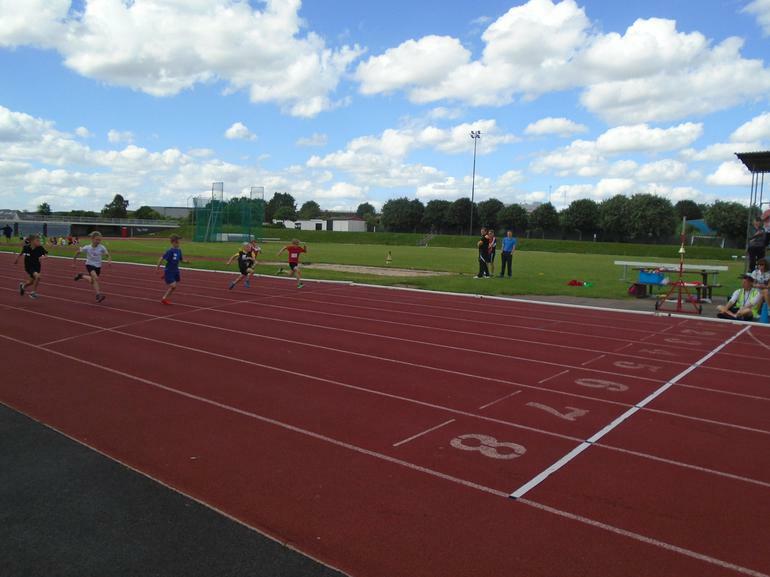 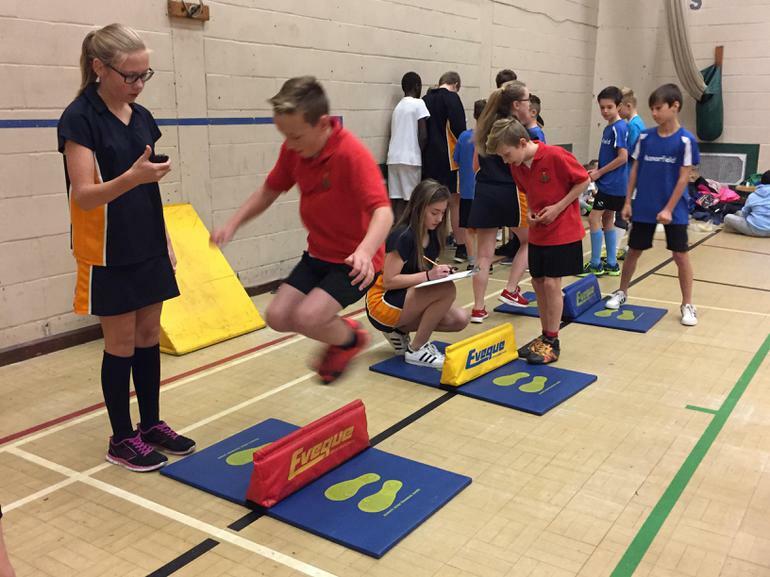 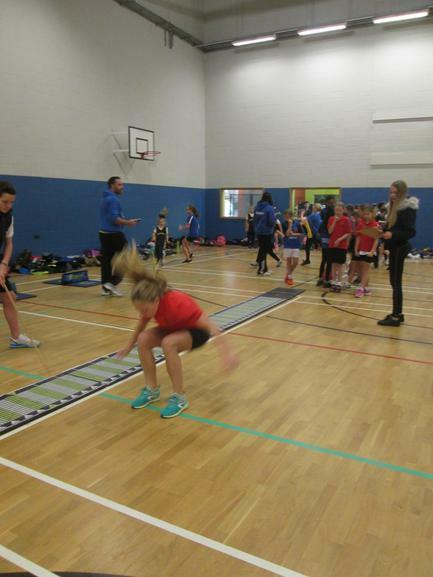 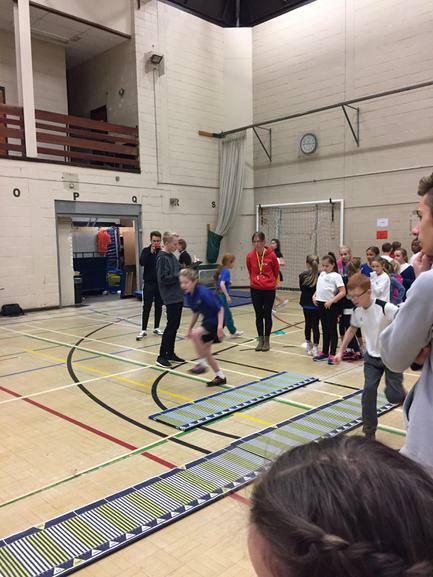 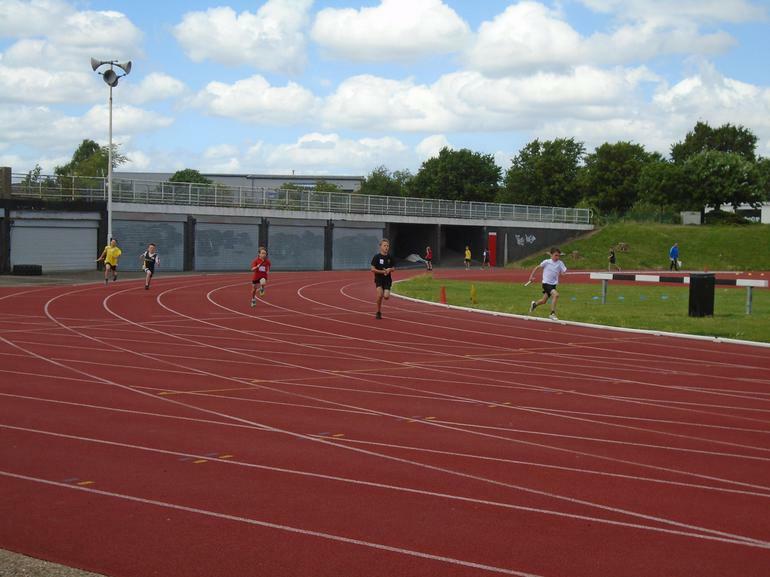 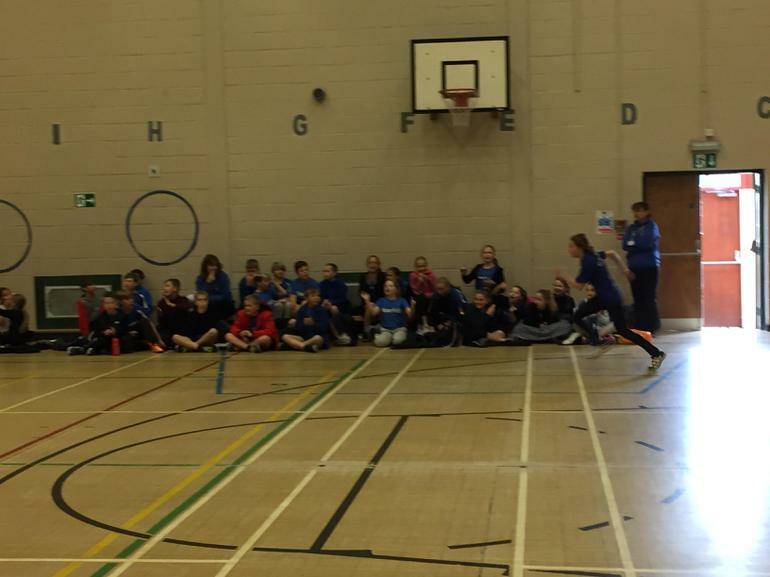 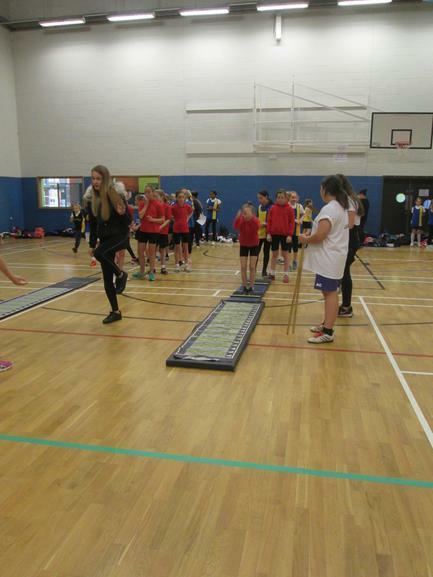 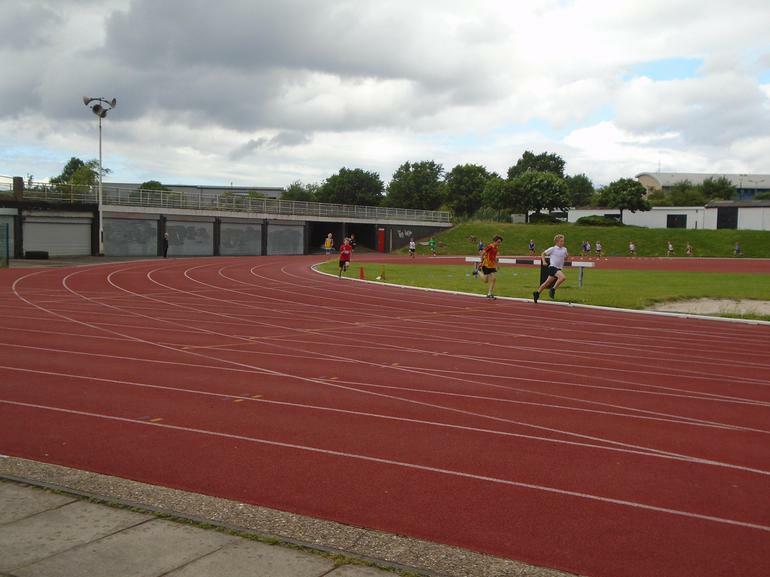 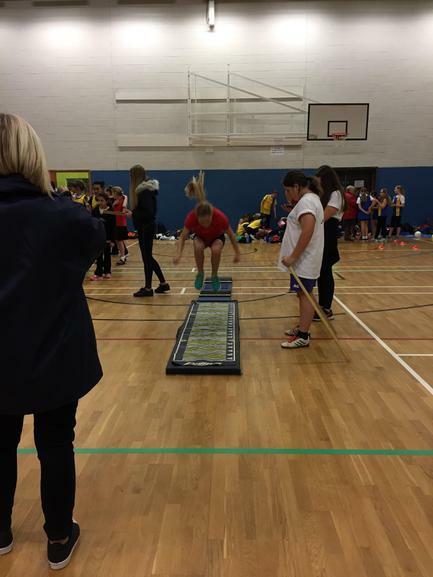 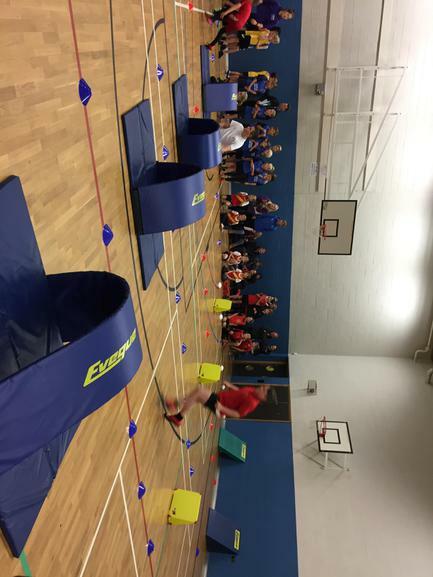 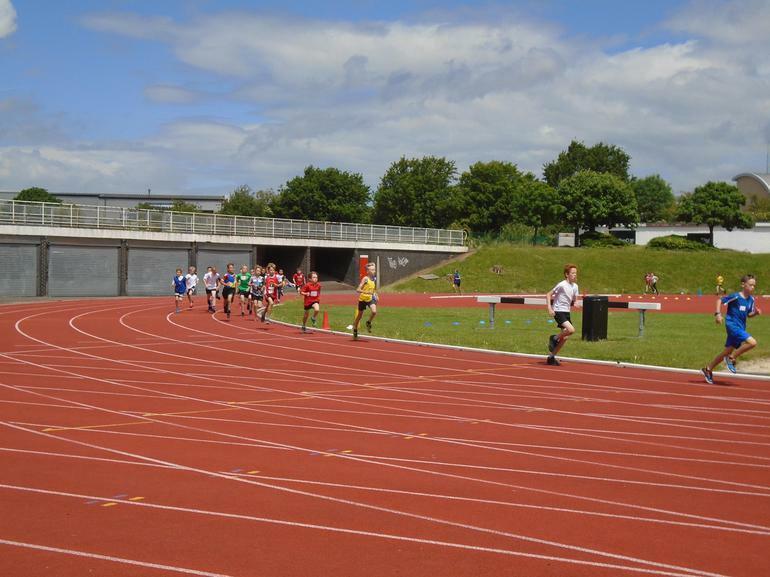 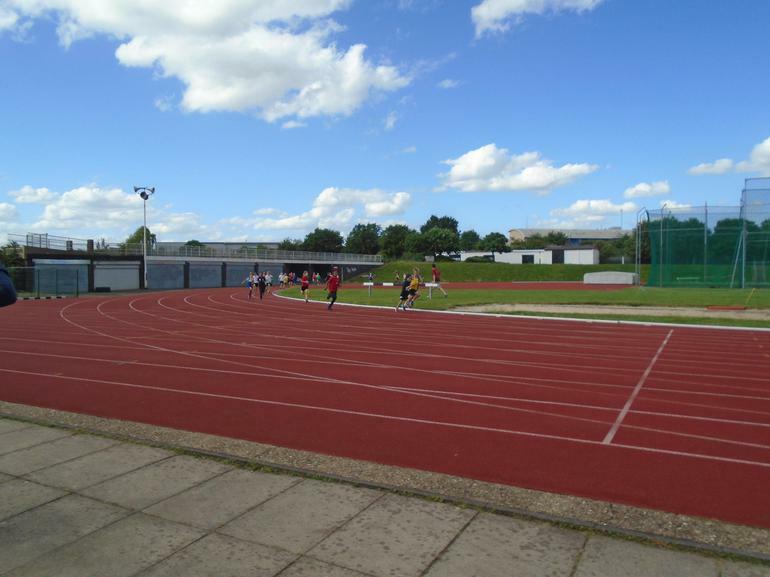 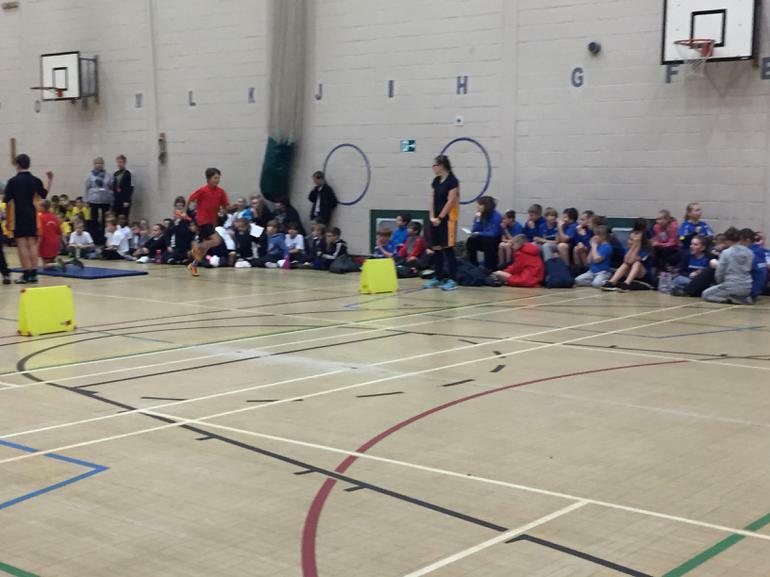 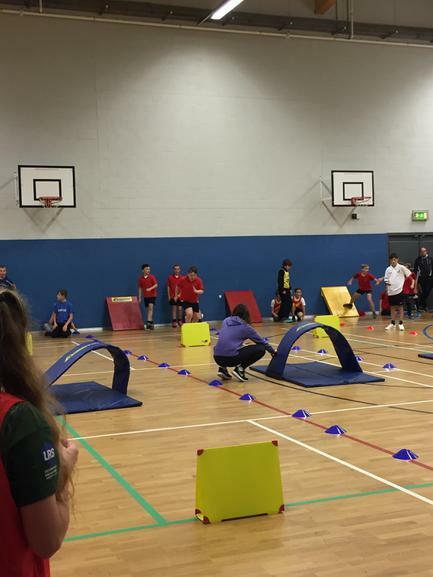 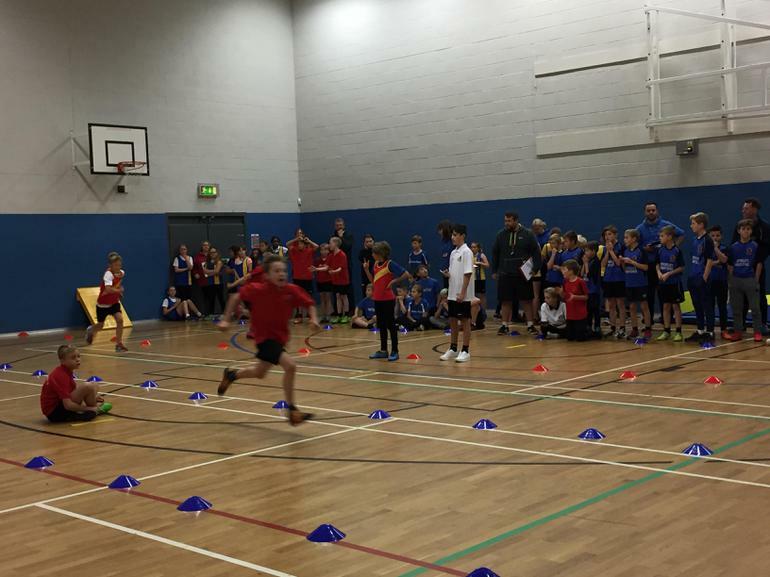 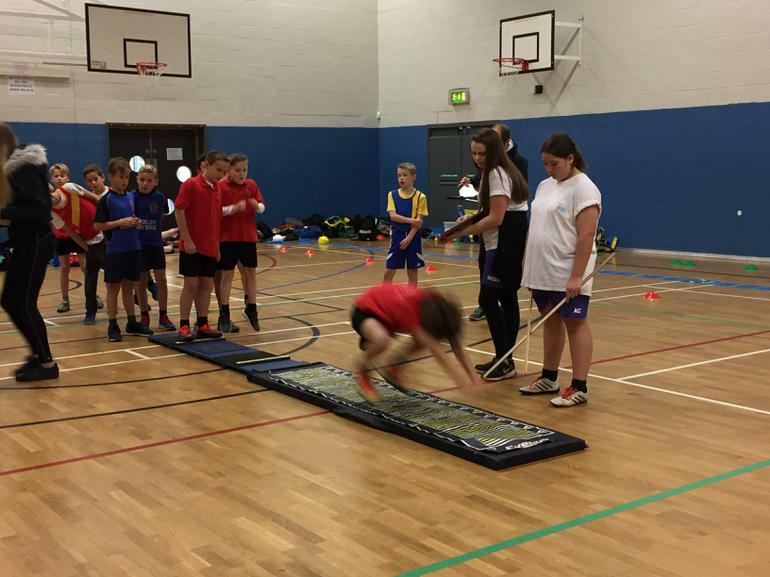 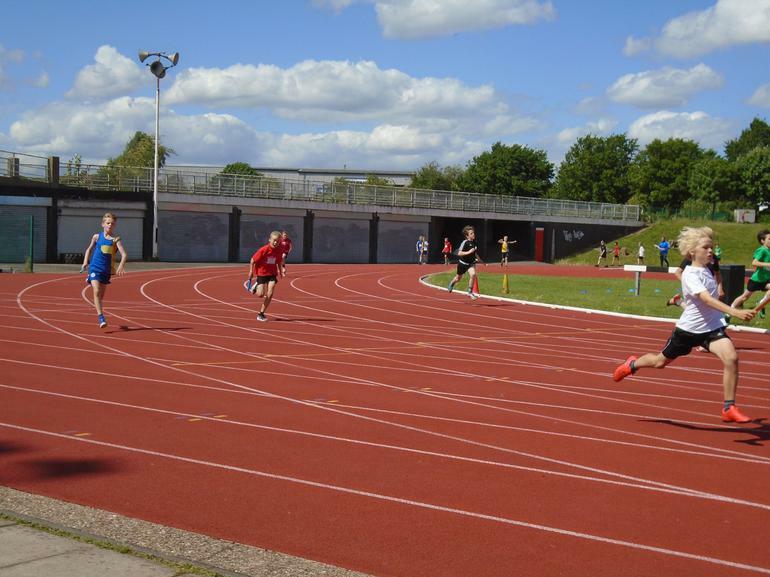 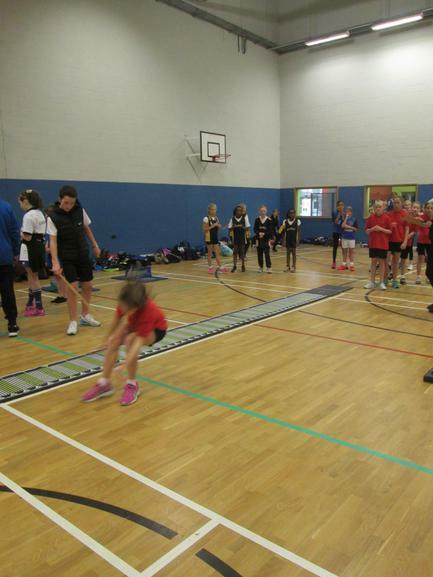 The sprint races were incredibly tough but the children couldn’t have tried any harder and again we saw children through to the finals, with top results from Elliot, Gracie, Harry M, Kasey and Harry P. The field events were tough; Poppy & Harrison finished in the top 10 whilst Kirsty finished in 3rd place and Curtis in 2nd. 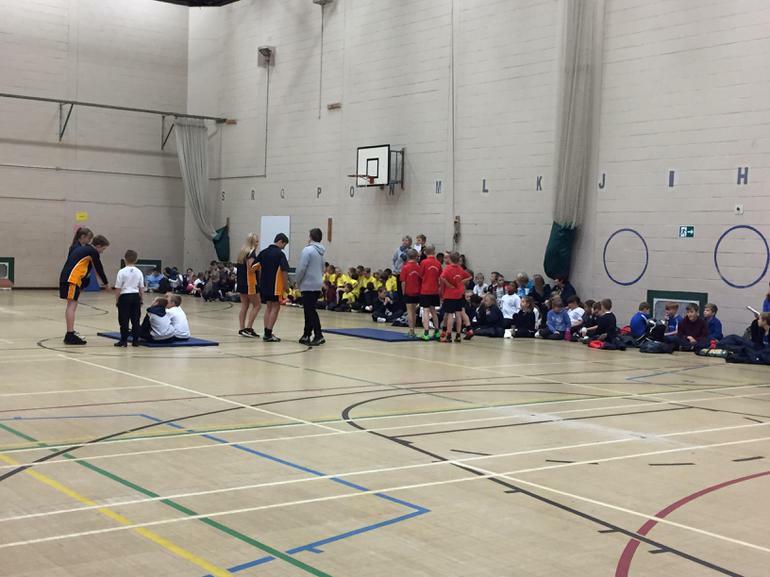 We now await the overall results to see if we have come in the top 3 small schools ~ fingers crossed! 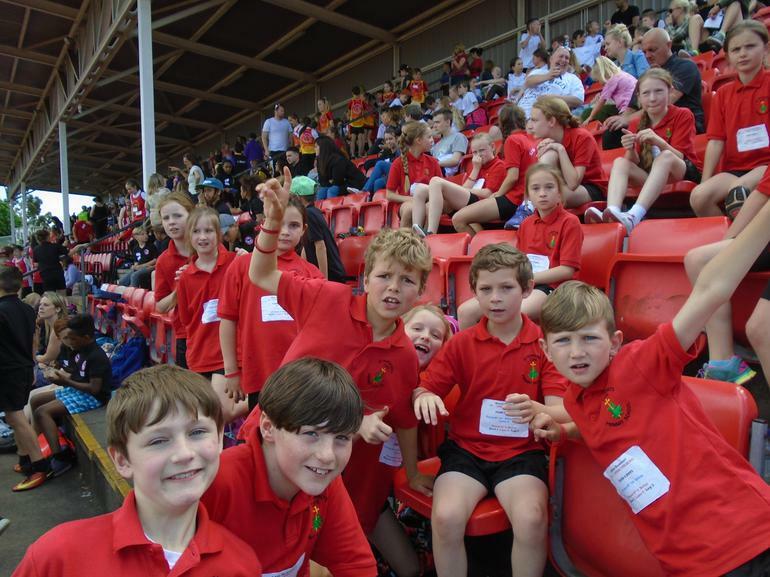 The children were an absolute credit to our school. 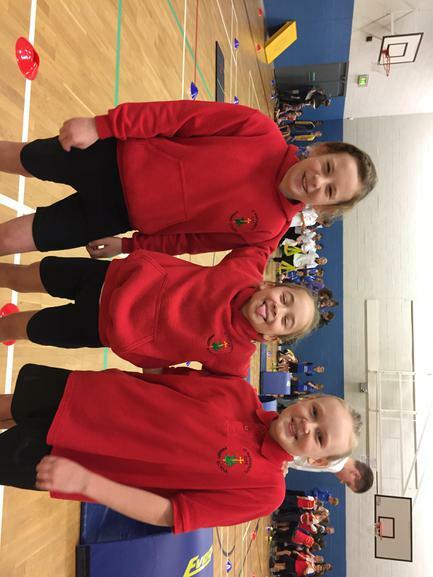 We were incredibly proud of their behaviour and their team spirit but most importantly, their attitude towards others and the way in which they cheered for other children who needed a boost who weren’t even from our school. 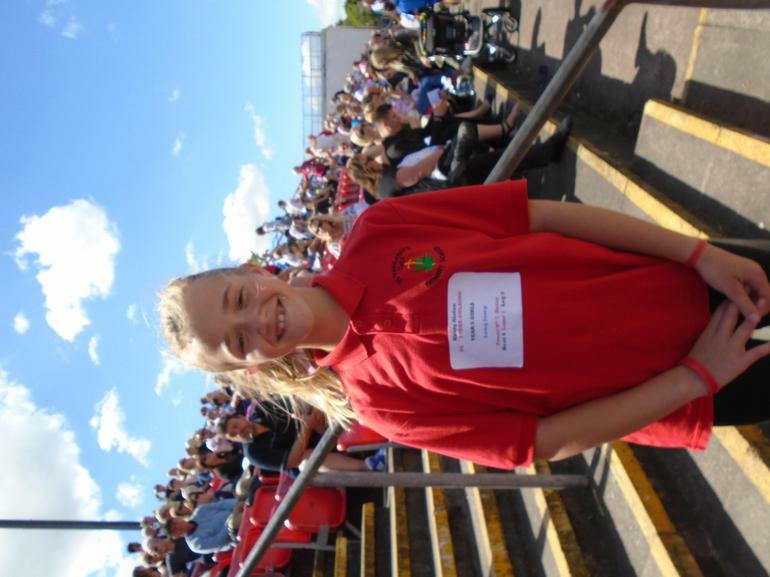 We were very proud of them and it was nice to have comments from other adults about how impressed they were. 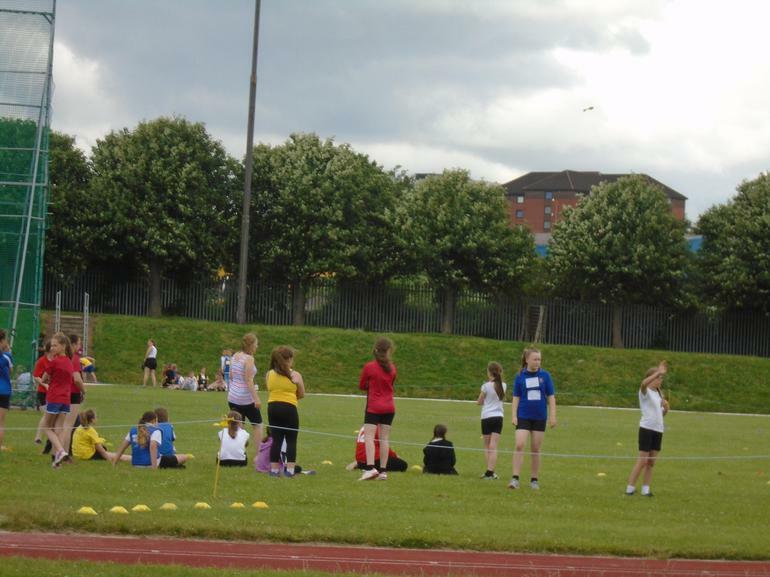 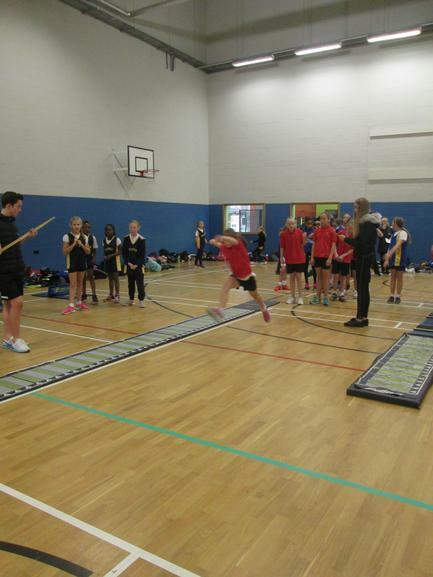 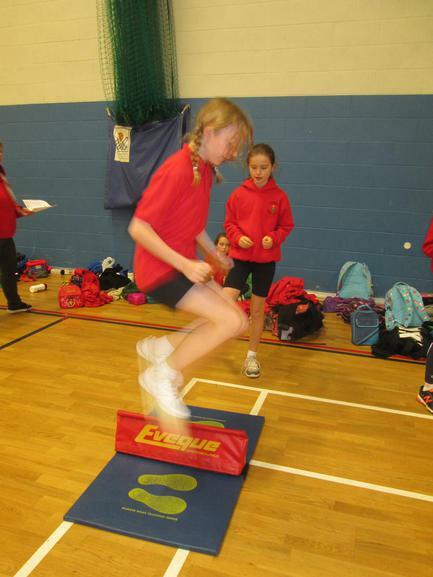 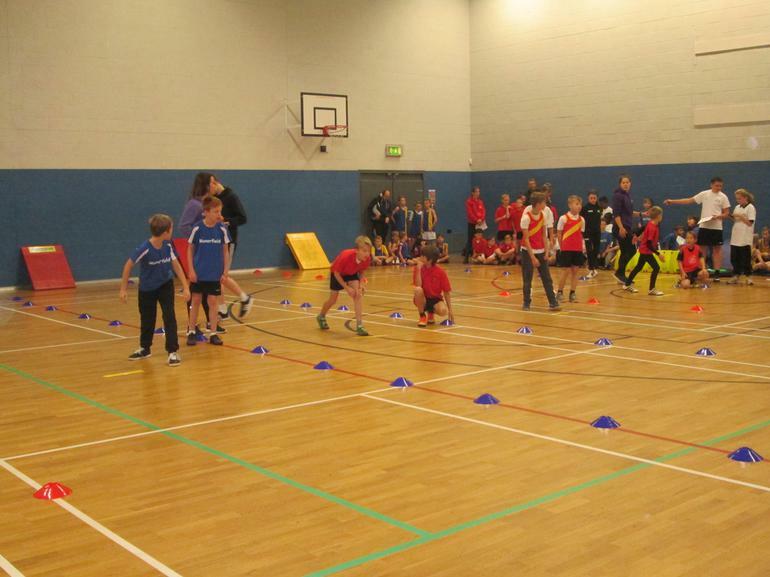 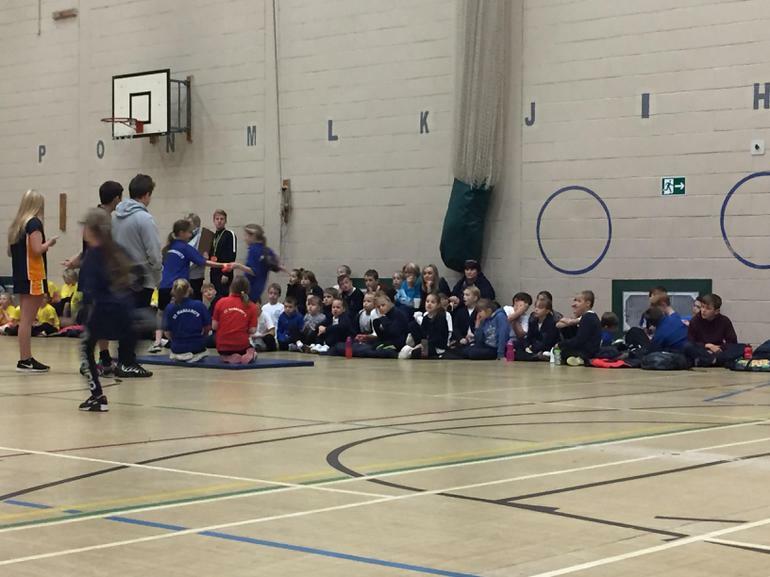 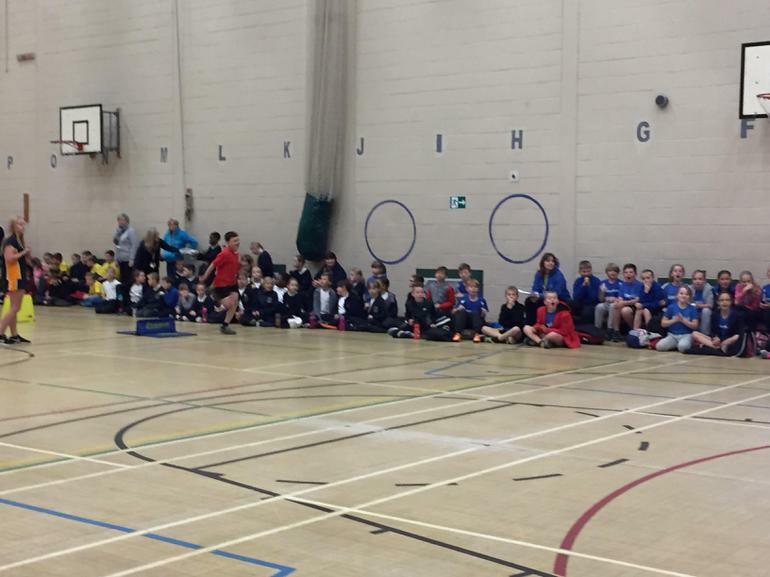 Well done to all children who came to area sports! 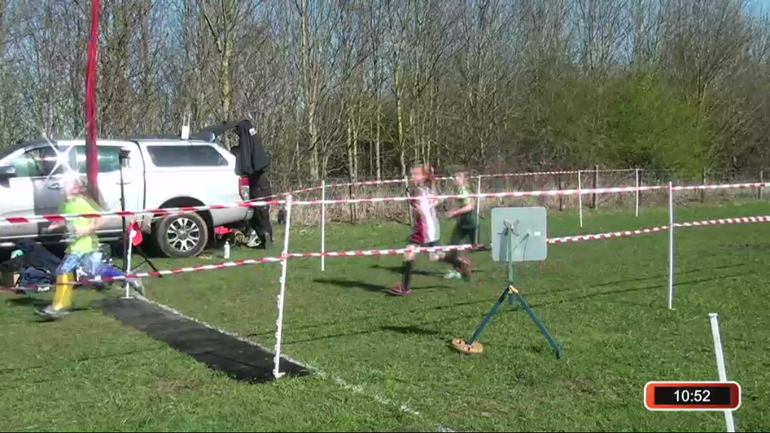 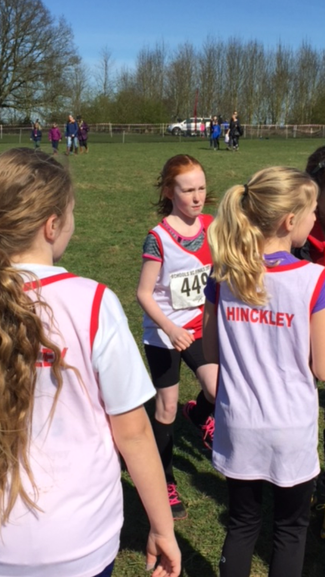 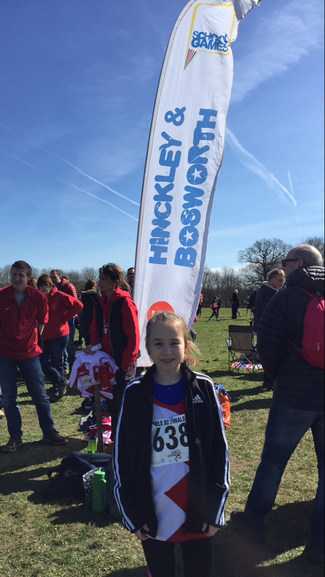 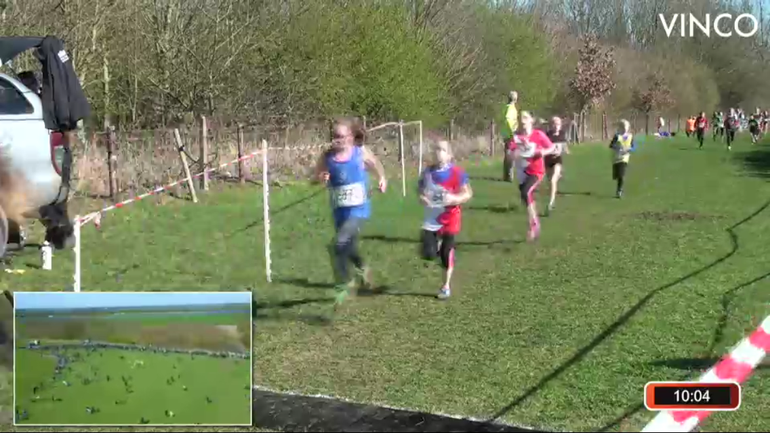 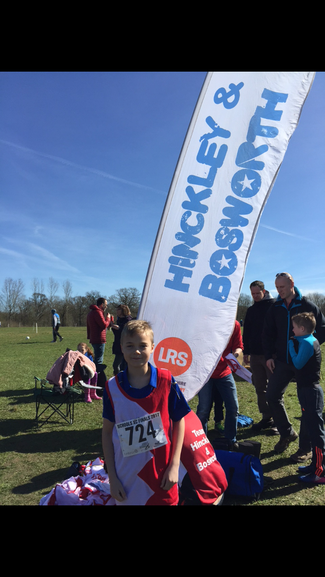 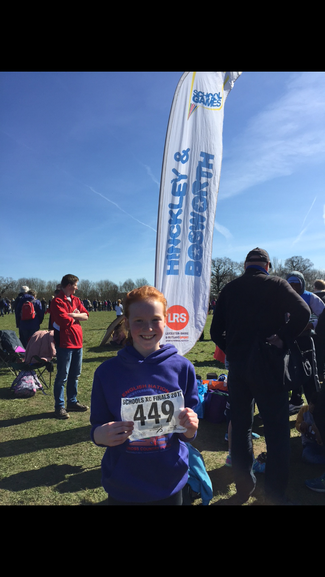 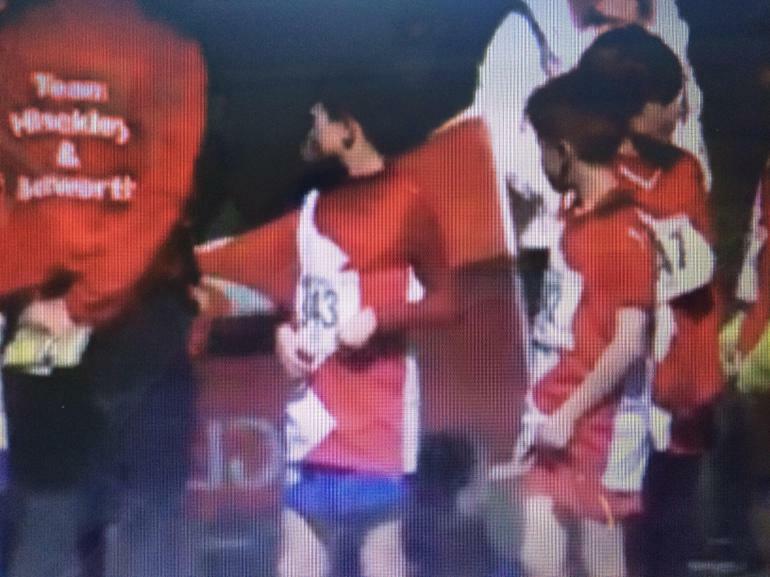 On Saturday, 7 children who had been specially selected to represent Hinckley & Bosworth, travelled to Prestwold for the National Schools Cross Country Finals. 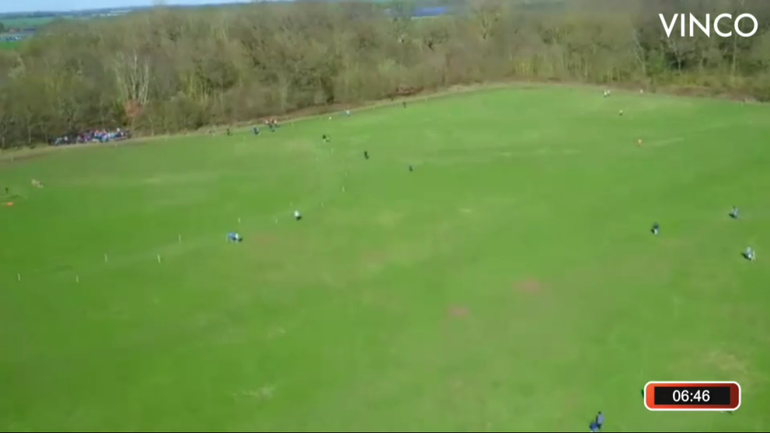 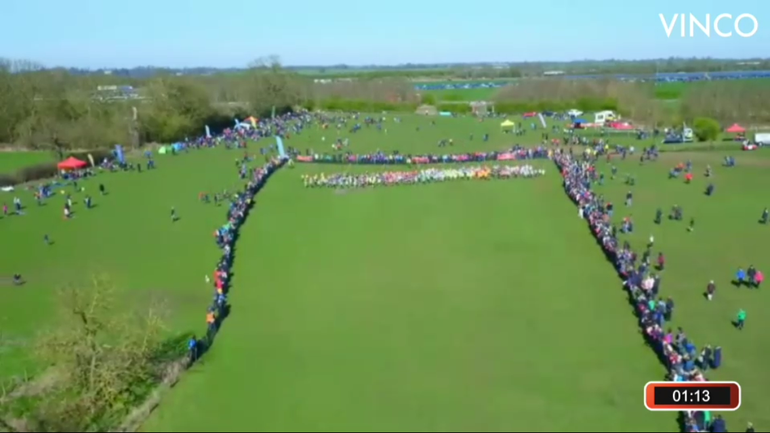 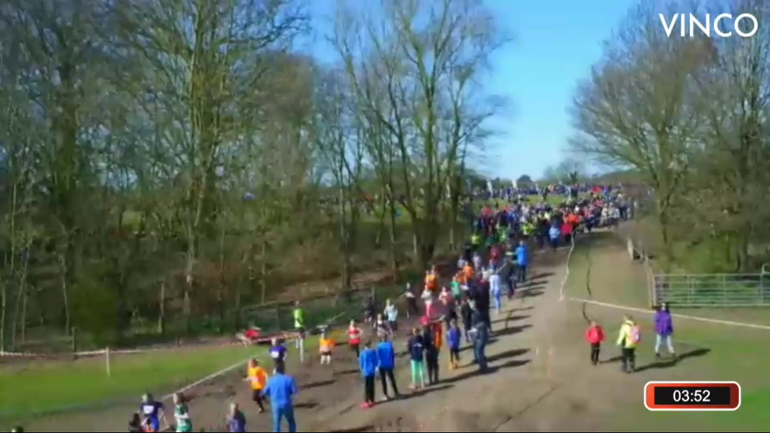 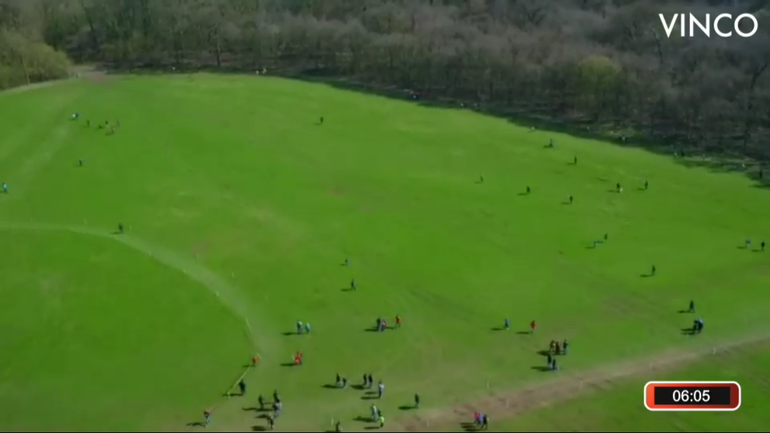 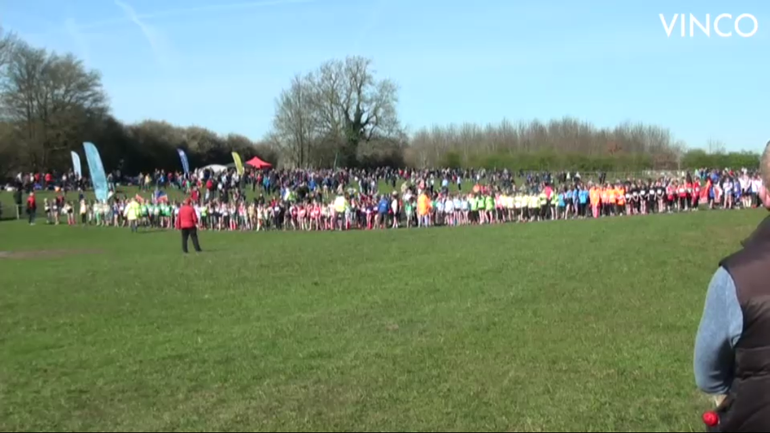 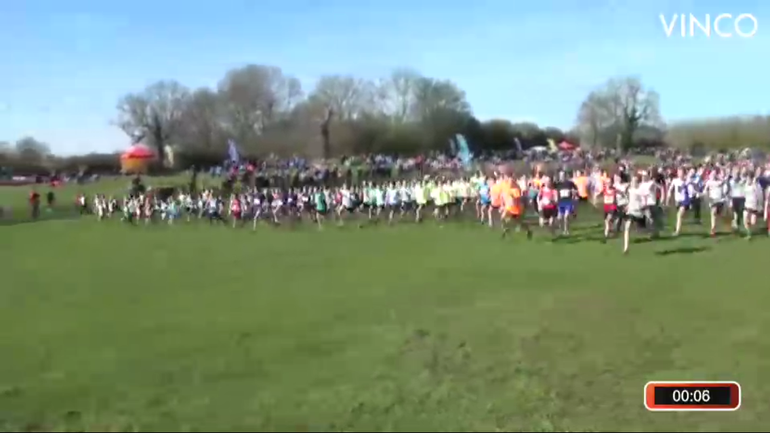 The children all raced superbly; there were runners from all over the country competing and our children should be very proud of the efforts they put in ~ I think some of them liked the fact that the race was streamed online and they were watched by a lot of people! 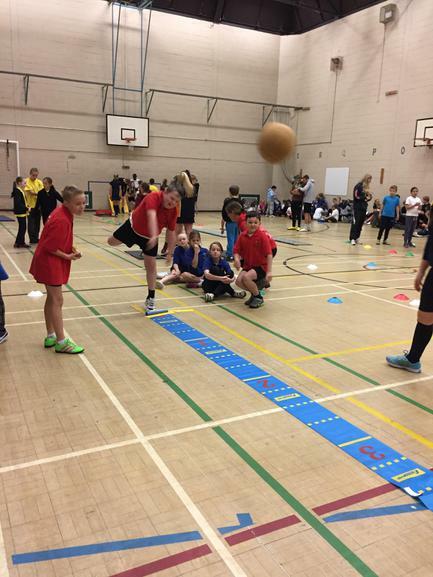 The children helped Hinckley & Bosworth in gaining a number of super area results. 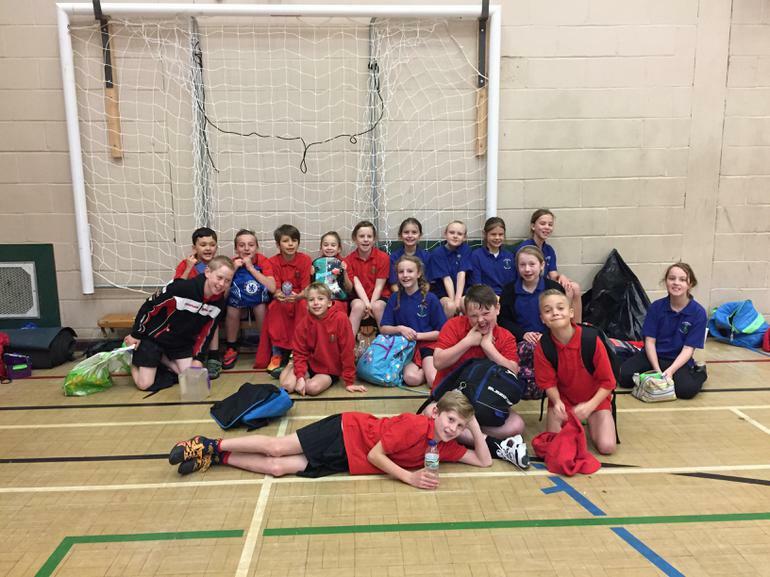 Megan represented Year 3 girls, George, Year 3 boys (who came 2nd), Elliot, Year 4 boys (who came 1st), Maisie, Year 5 girls (who came 3rd), Ellie, Year 6 girls (who came 2nd), and Joe and Tom, Year 6 (who came 1st). 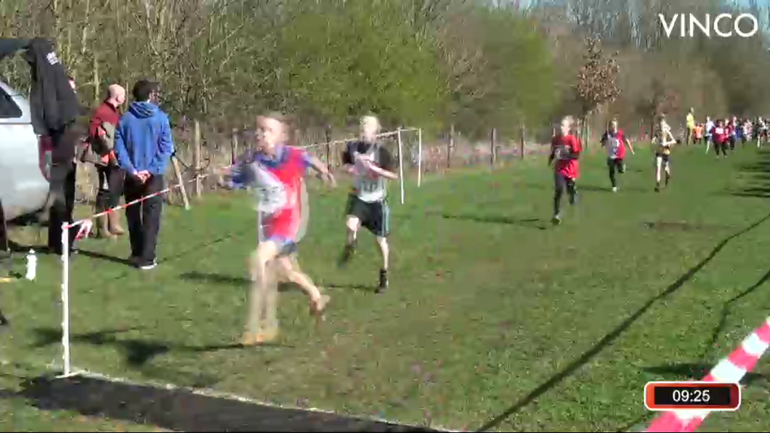 The race was a super end to the cross country season for these children. 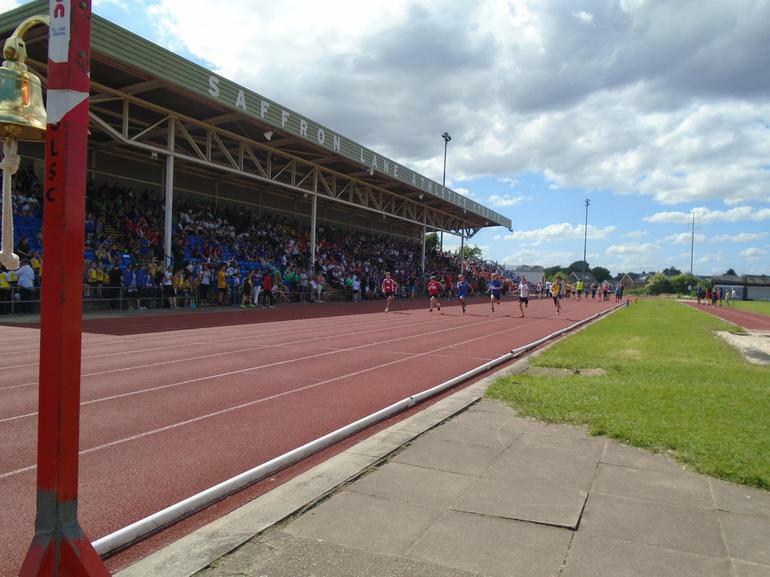 Well done to all of you who raced and thank you to your parents for supporting the competition. 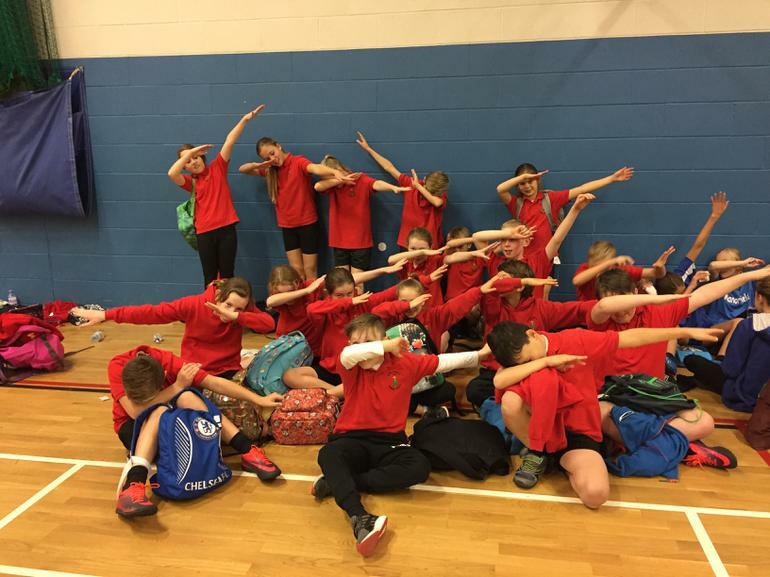 A splashtastic well done to all of the children that took part in the Hinckley and Bosworth schools swimming gala on Saturday 11th March: Harry and Matthew (year 6 boys), Sophie, Evie and Kaitlin (year 6 girls), Bradley (year 5 boys), Gracie and Evie (year 5 girls), Andrew, Sam and Toby (year 4 boys), and Ruby (year 4 girls). 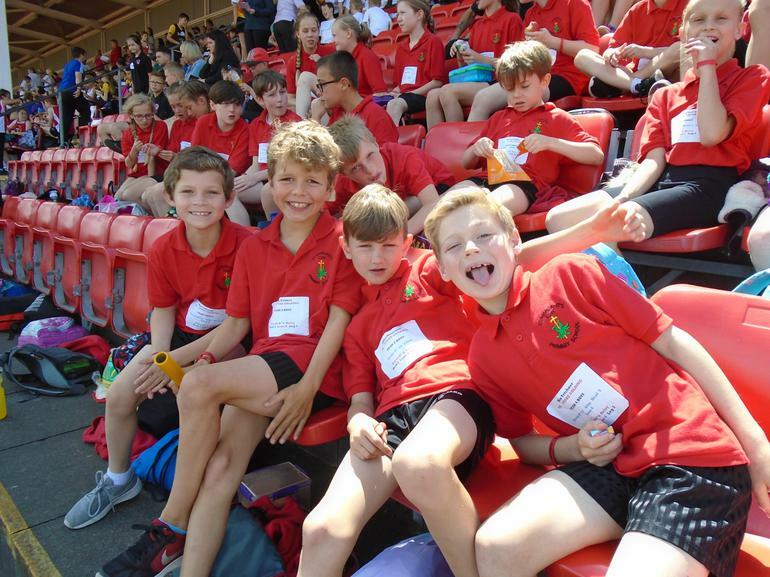 The children were fabulous ambassadors for our school. 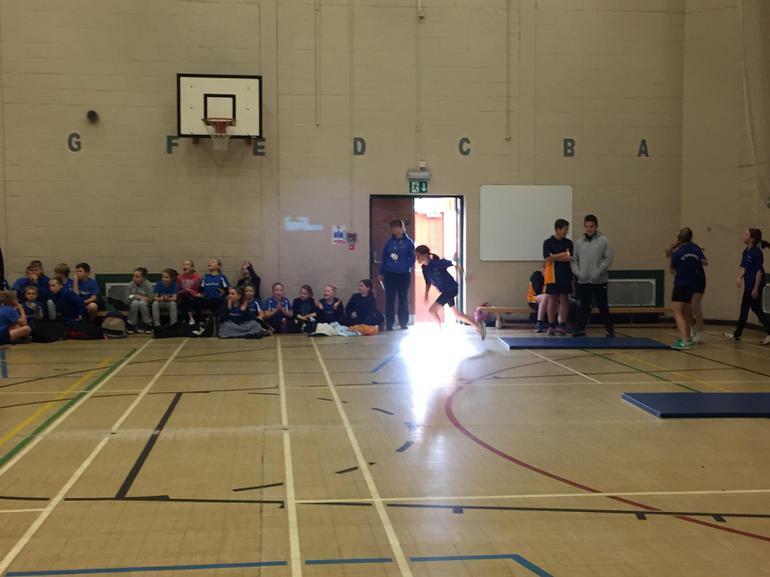 Mrs Tomkins was extremely proud of all the children; they swam with passion and were great team mates; cheering each other on from the side of the pool. 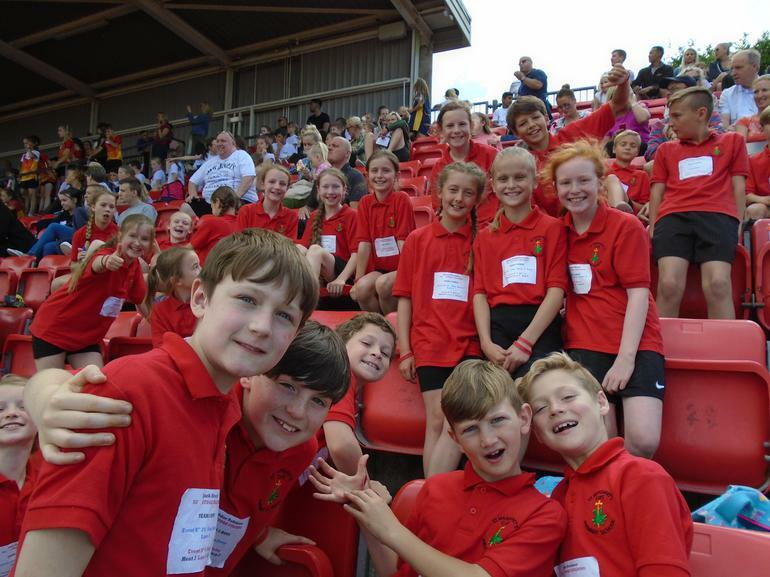 Due to all the children swimming so well, St. Margaret's came third in the small schools competition overall. 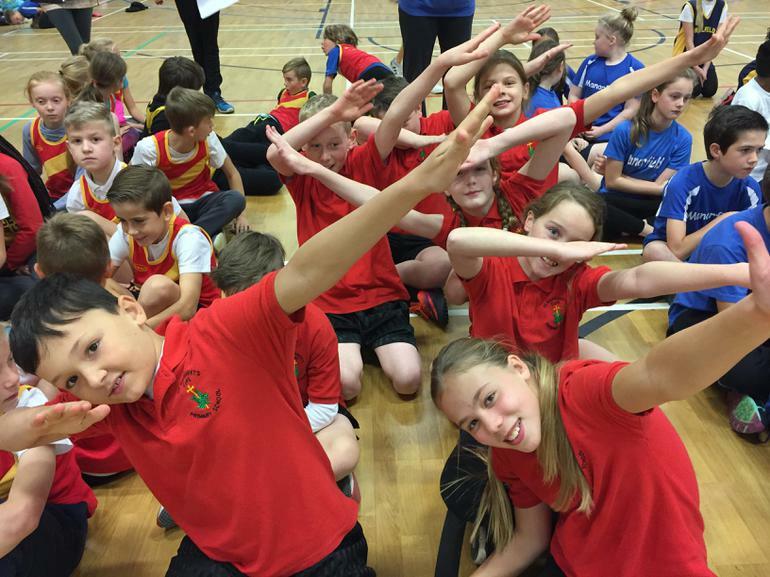 What a fabulous achievement! 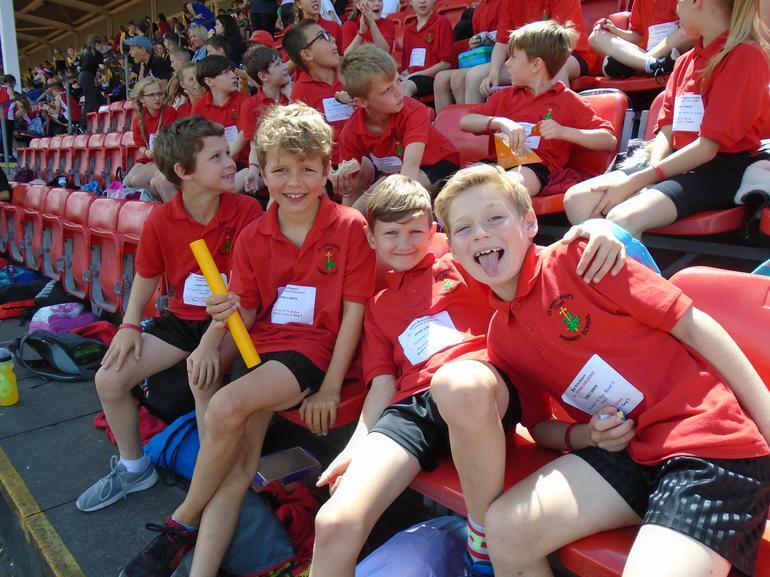 Particularly strong swims were seen by Harry, Matthew, Gracie and Andrew; all qualifying for the final from their heats in their particular strokes. 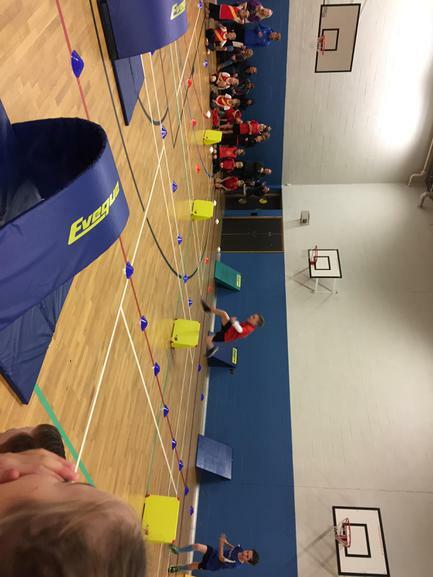 A special thankyou also to Mr Palmer and Mrs Wilson for helping co-ordinate the children at poolside and to Mrs Tomkins for giving up her time to be there. 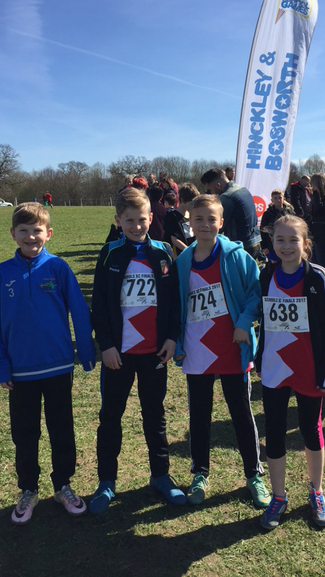 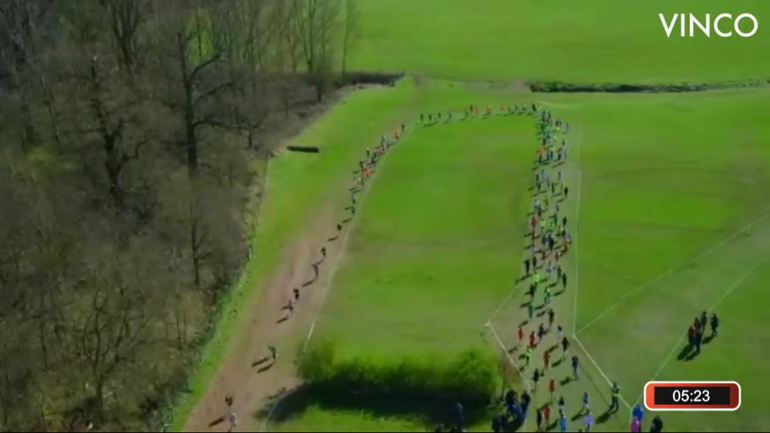 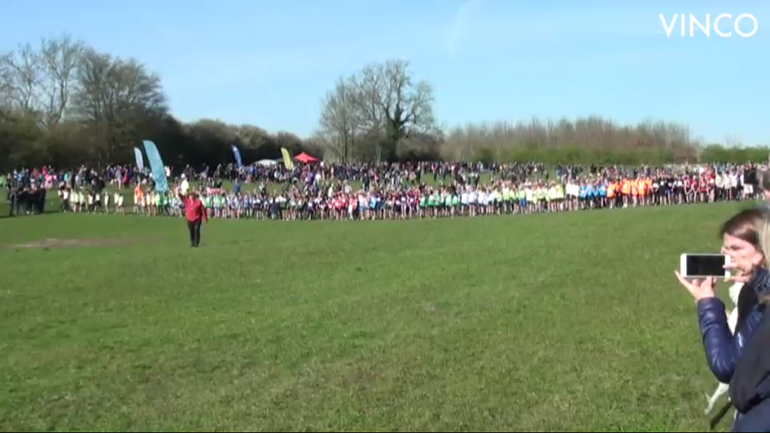 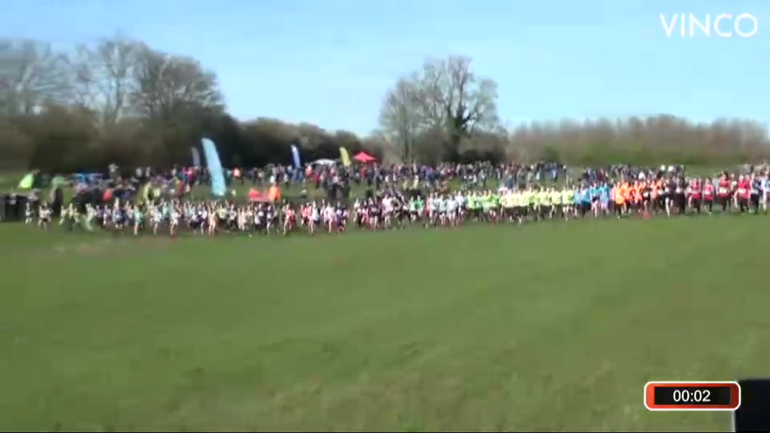 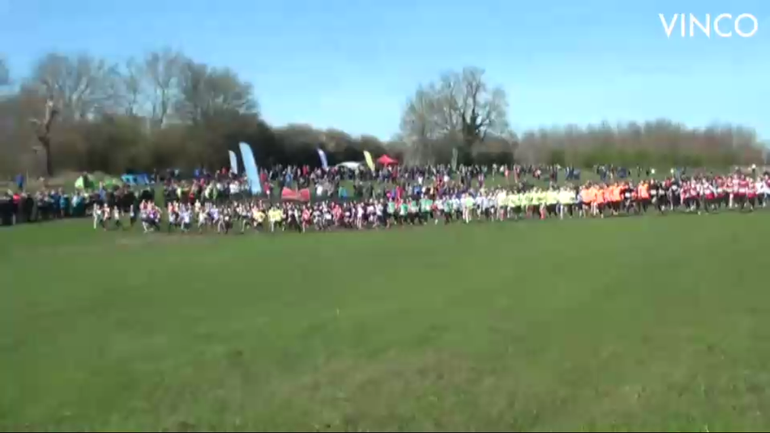 On Saturday, 21 children represented St Margaret’s at the final cross country race of the season. 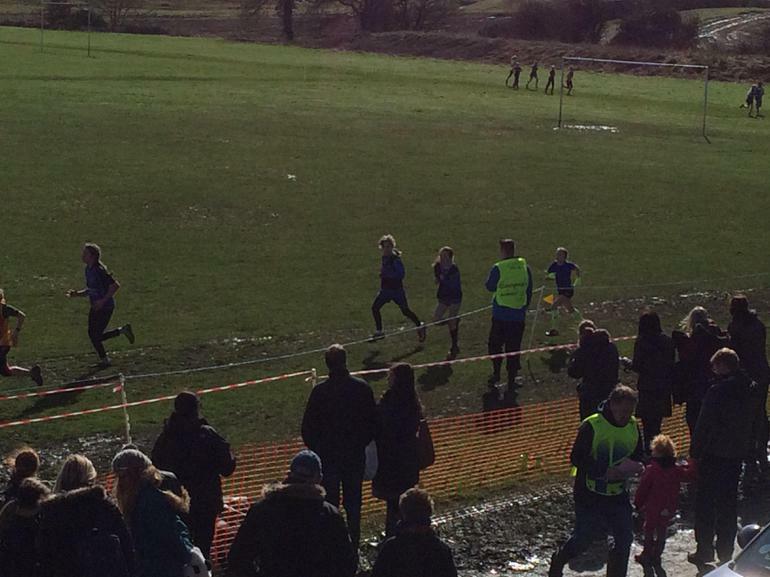 Despite the weather being nice, it was very muddy and we had a lot of filthy children! 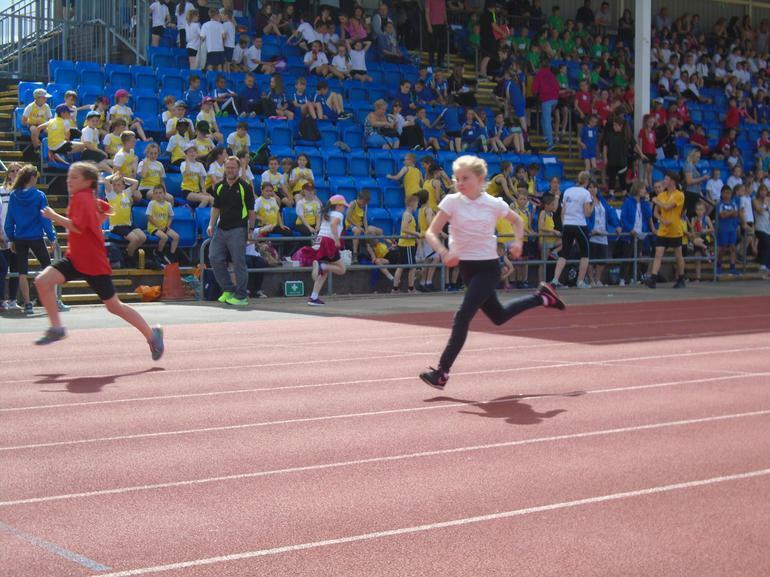 All the children were brilliant and put in their best efforts. 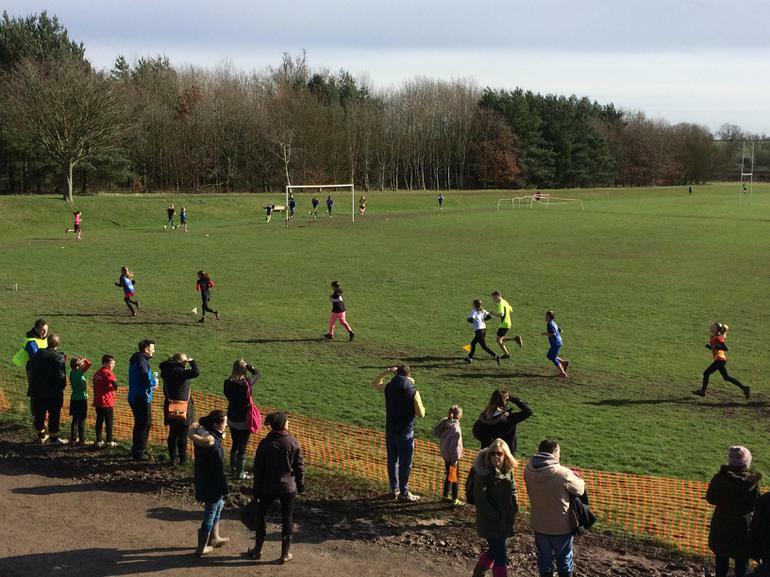 We even had 8 children finish in the top 10 which was brilliant: George & Megan (Yr 3), Elliot (Yr4), Maisie (Yr5) and Ellie, Joe, Tom D & Harry (Yr6). 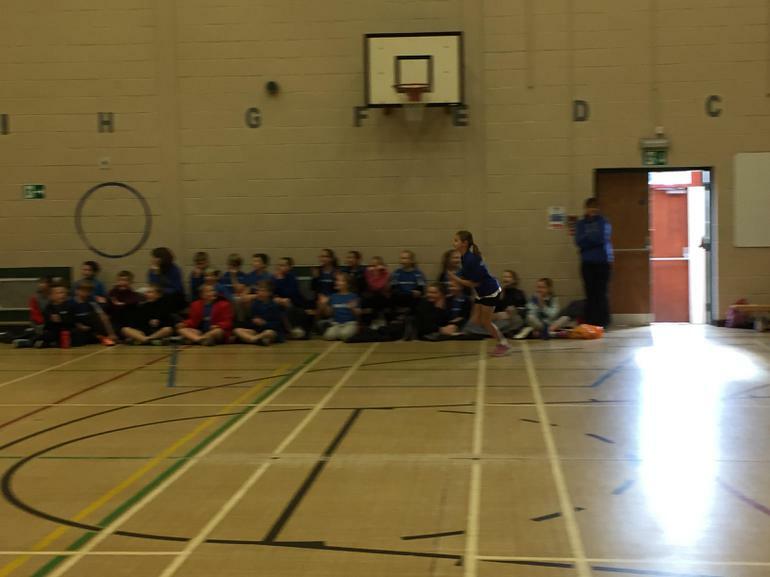 It was especially nice to see some children come for the first time and who were brilliant! 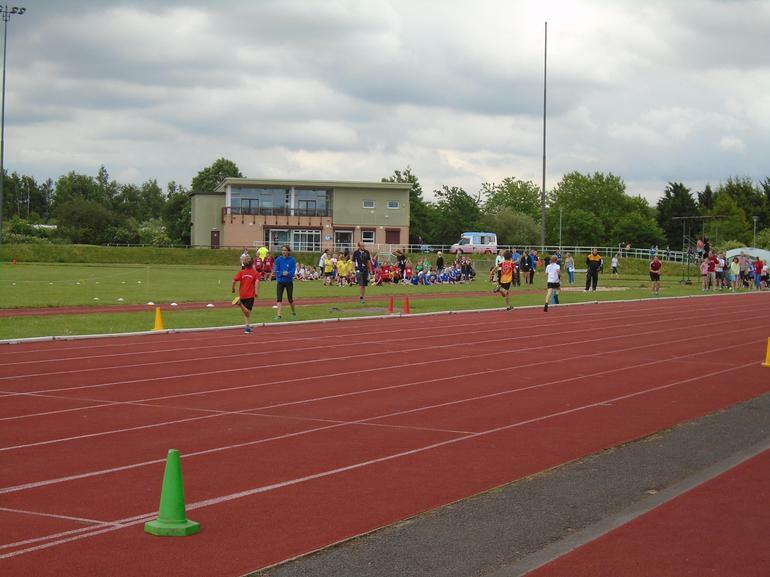 Well done to all the children who raced and thank you to parents bringing them. 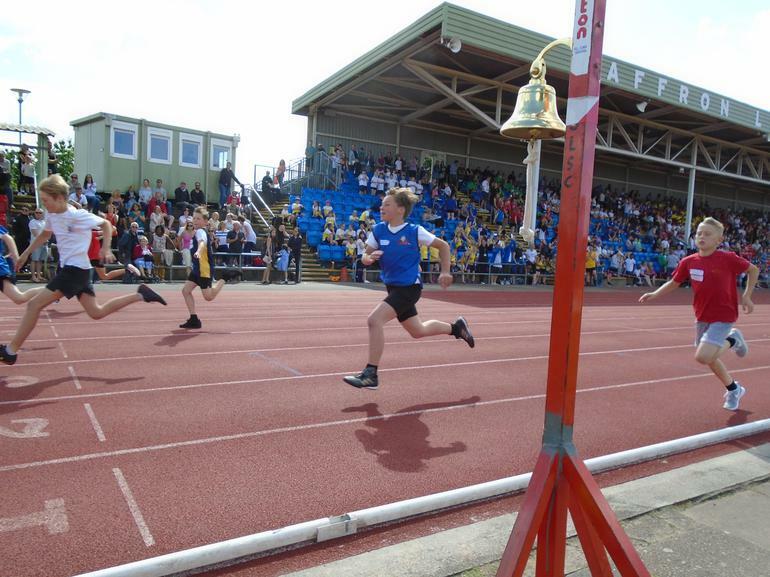 Also, thank you to the Year 6 children who have raced every year, for the past 4 years. 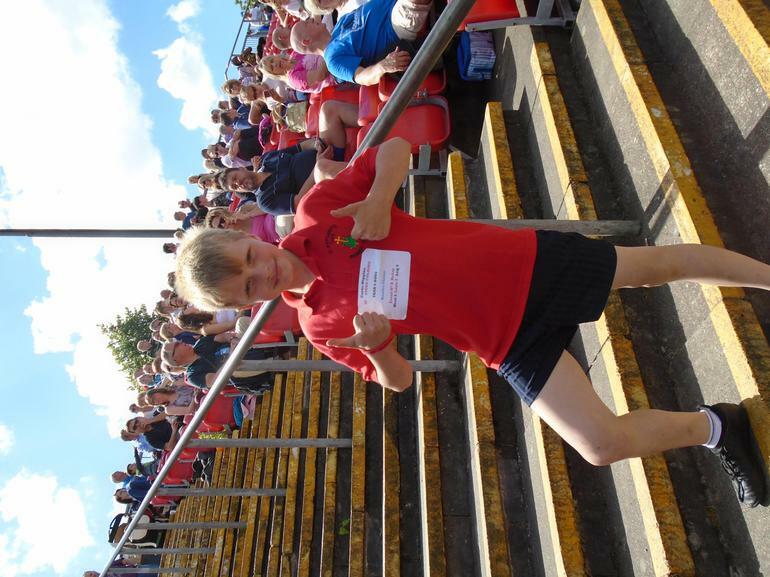 You have really been dedicated to turning up, whatever the weather and are a super example to the rest of the school! 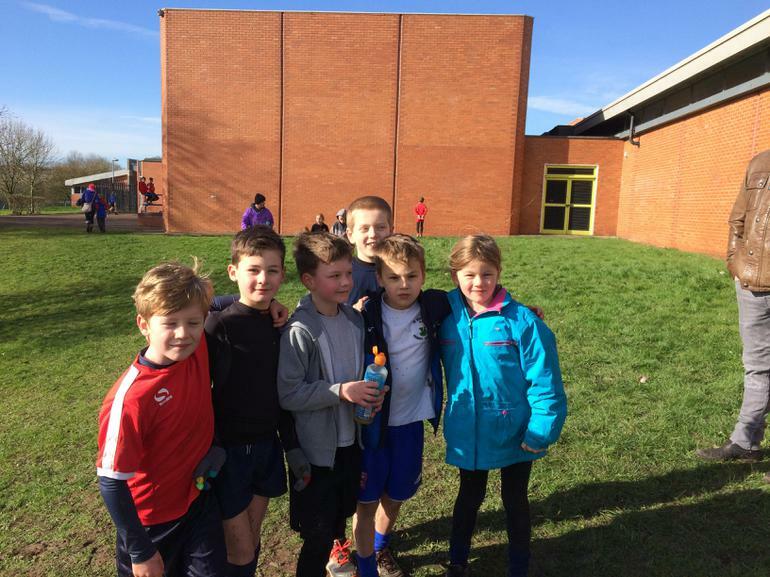 St Margaret's had a really successful morning at the cross country today. 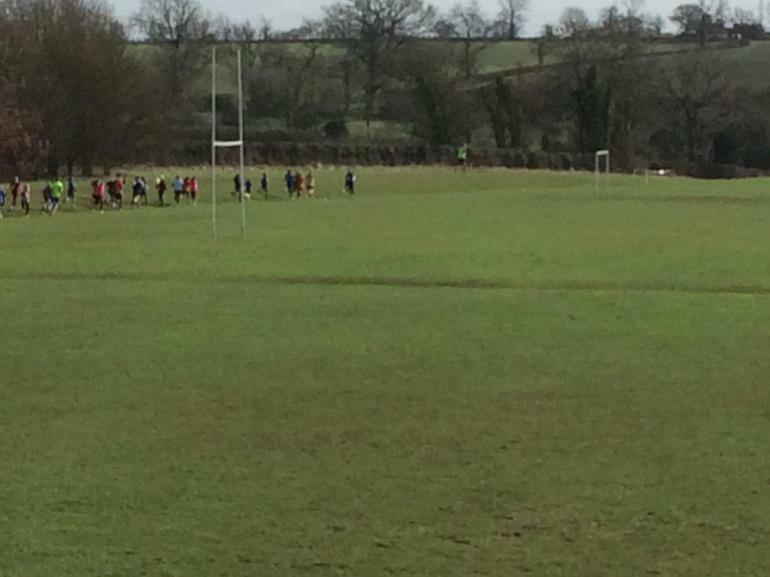 It was incredibly cold but that didn't stop 26 of our children from getting out in the mud. 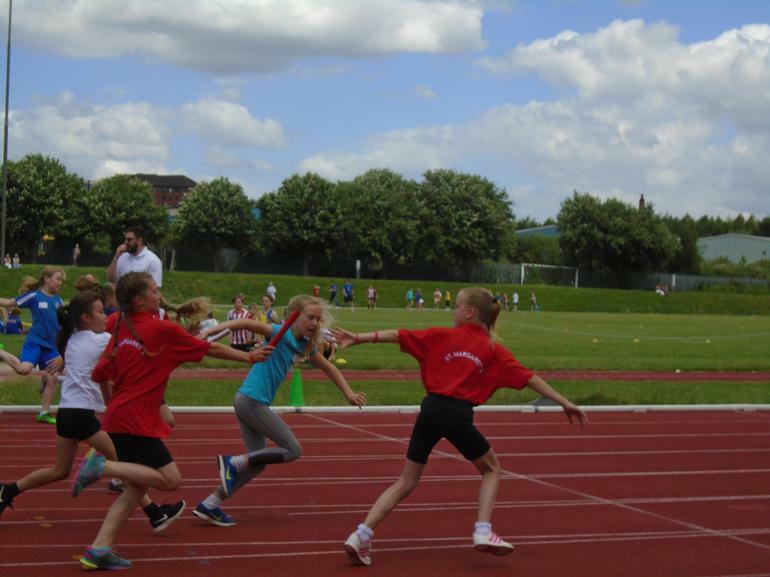 The Year 3 children raced first and all did really well, George even managed 6th place while Megan and Ava got in the top 20. 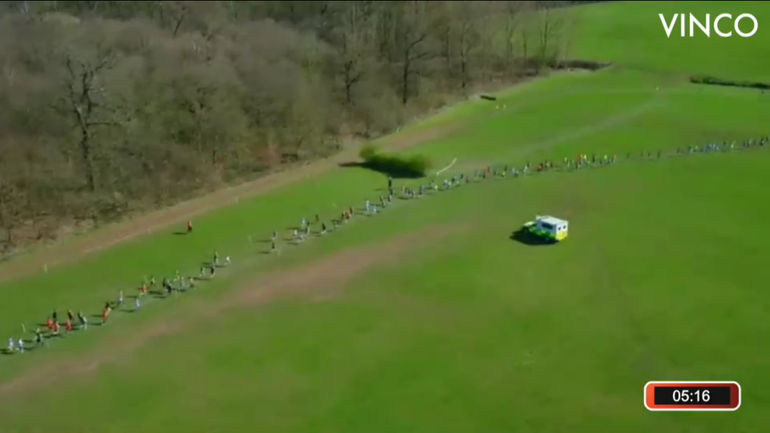 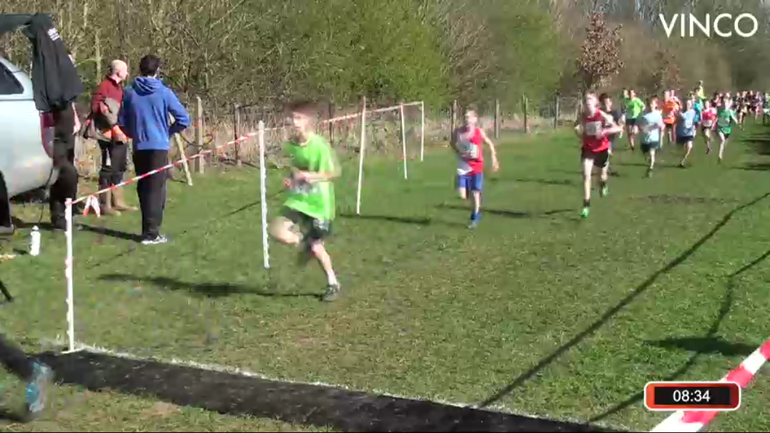 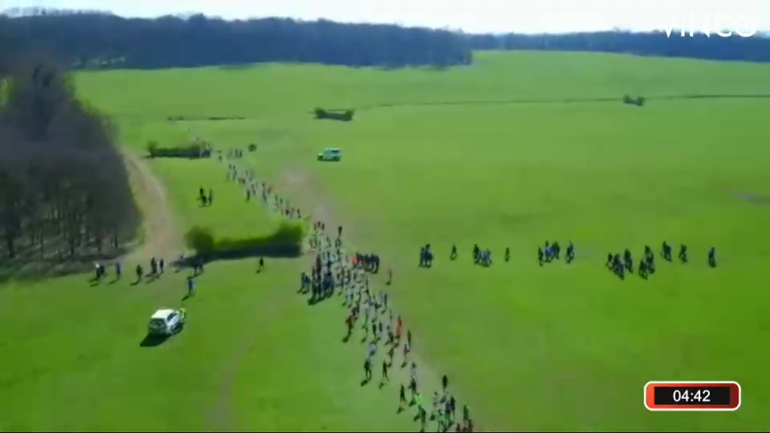 Year 4 followed on, again with super running and Elliot running to the finish in 7th place. 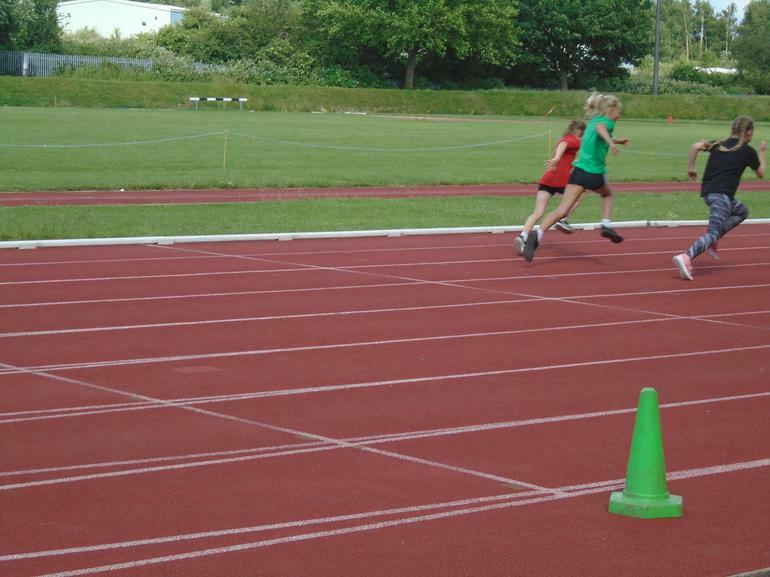 Maisie in Year 5 completed her best ever run, sprinting across the line in 6th place and it was good to have a new addition to the Year 5 team with James. 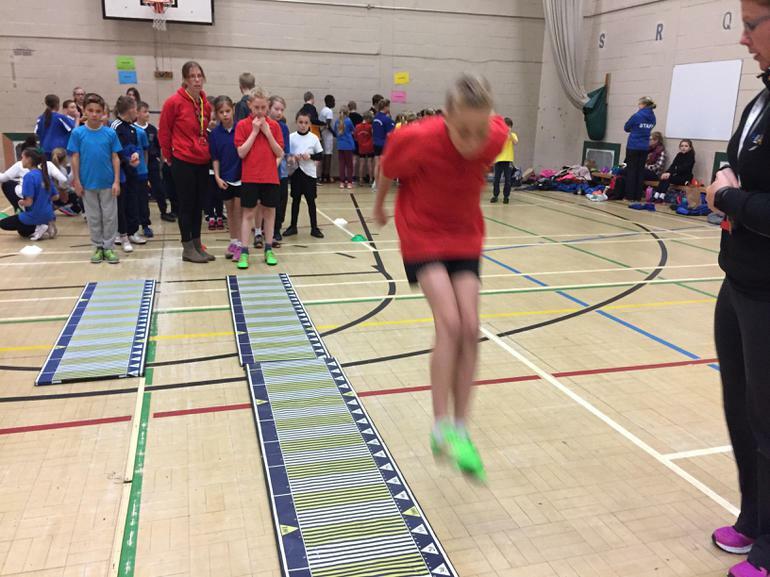 Year 6 had a super turn out with all 8 children coming in the top 30. 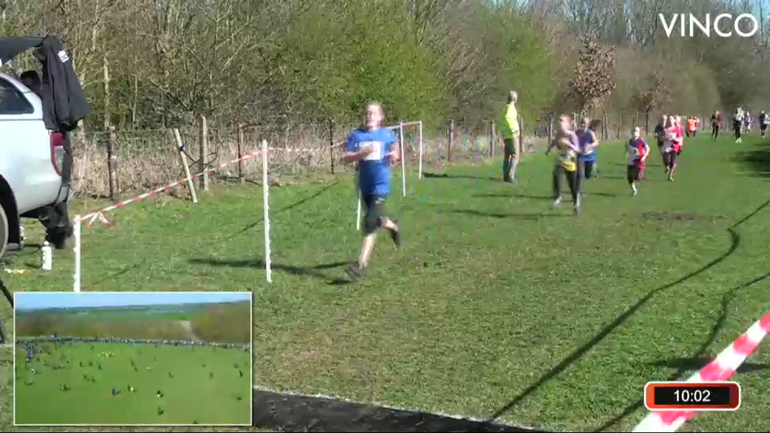 Ellie, Joe and Tom all came in the top 10 and we had a super sprint finish from Alex. 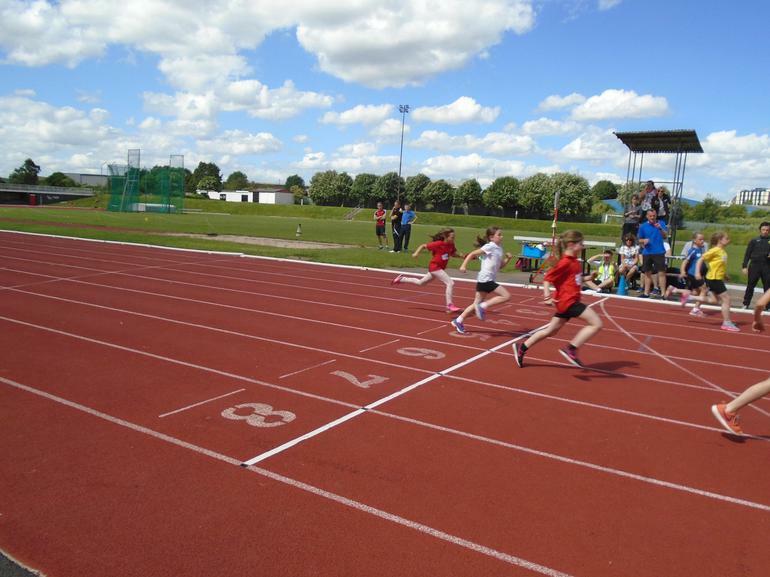 Well done to all the children who competed and thank you to parents for bringing them! 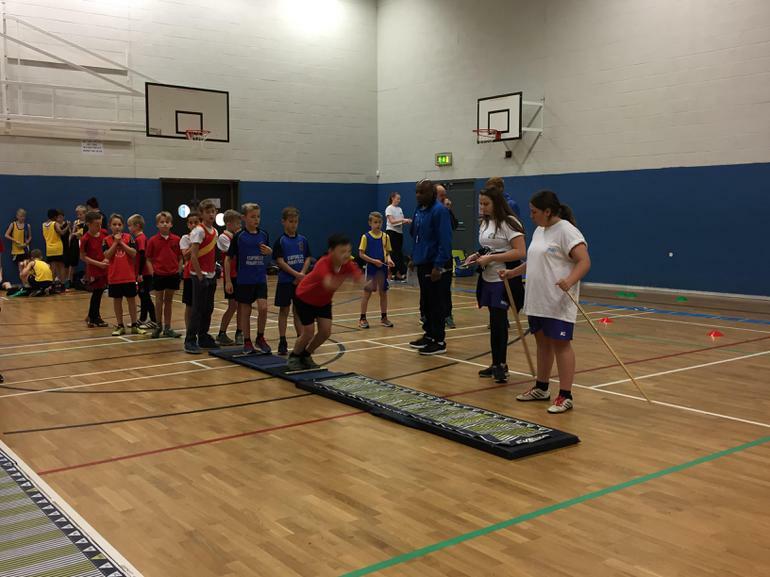 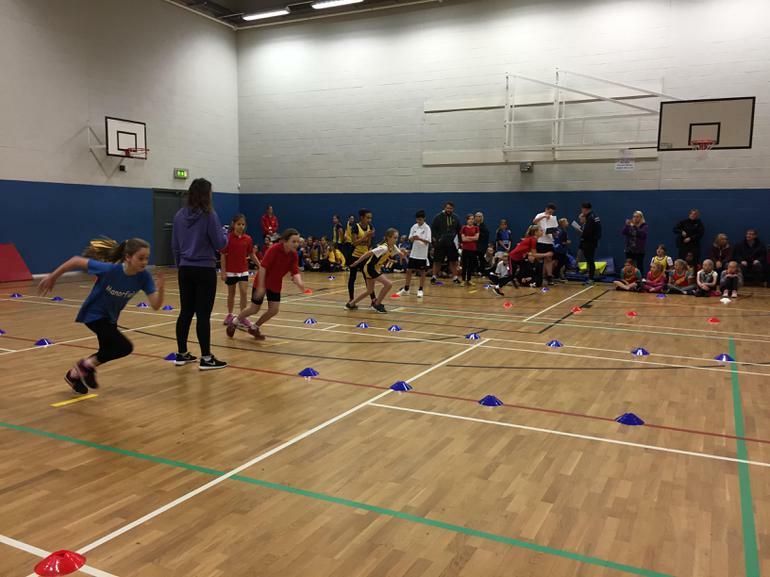 Sports Hall November 2016 - update! 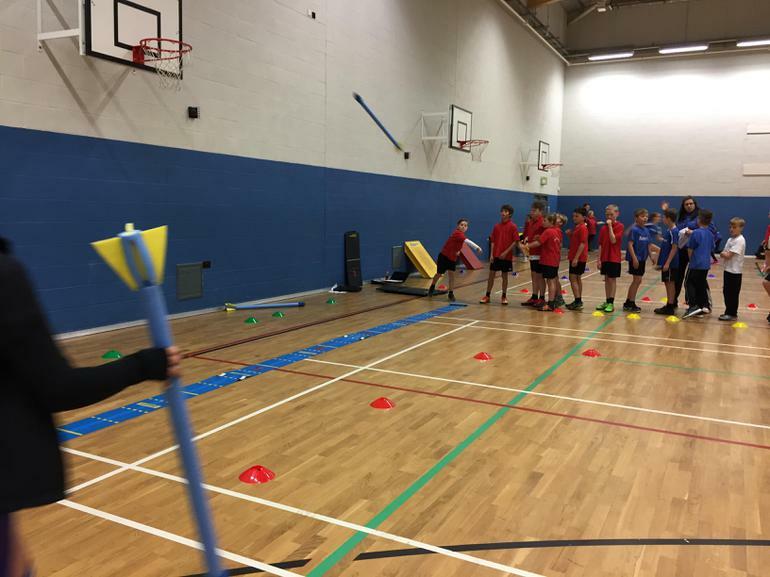 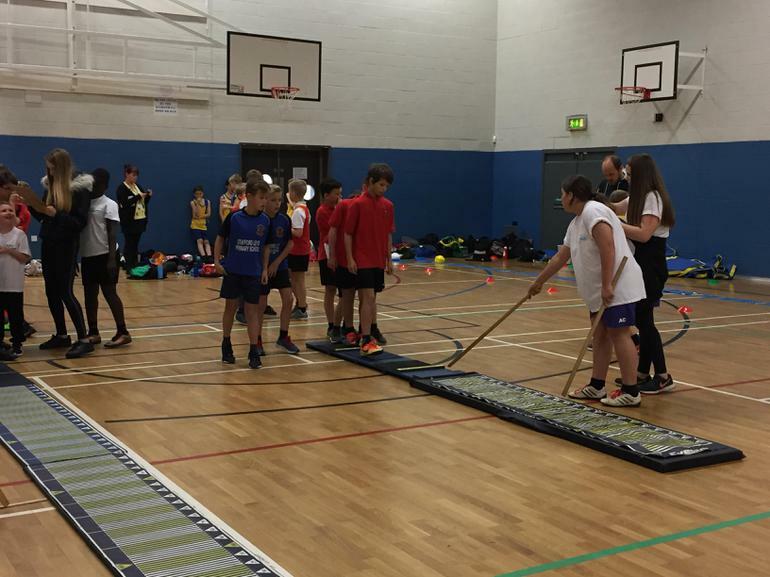 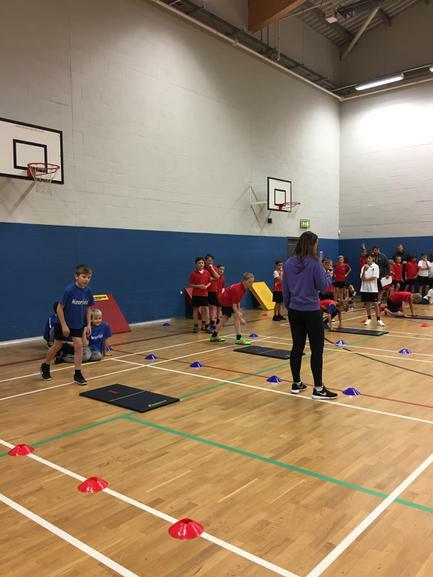 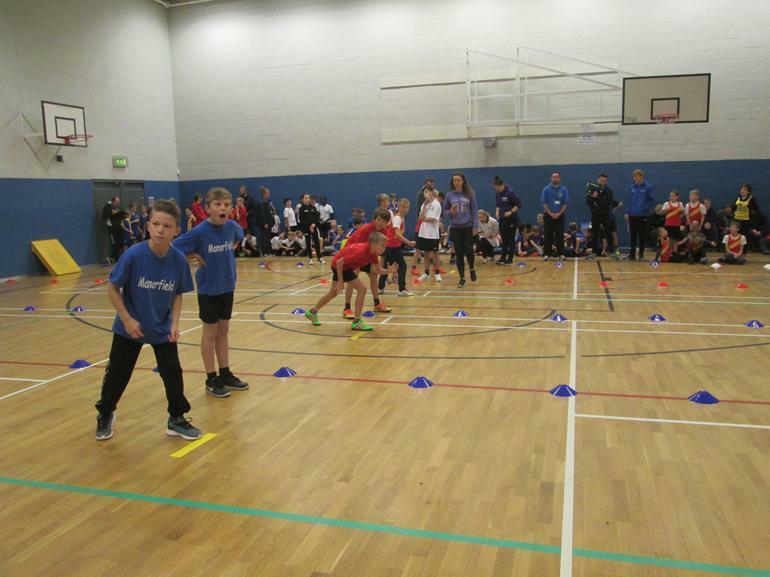 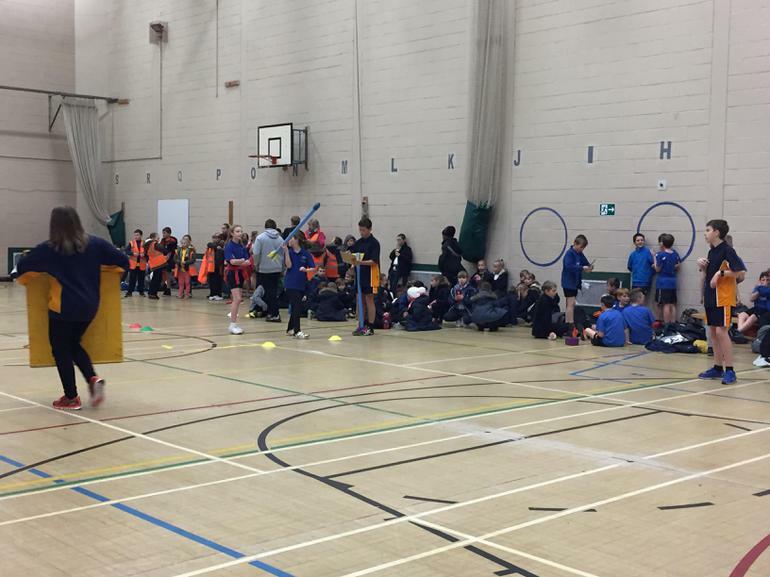 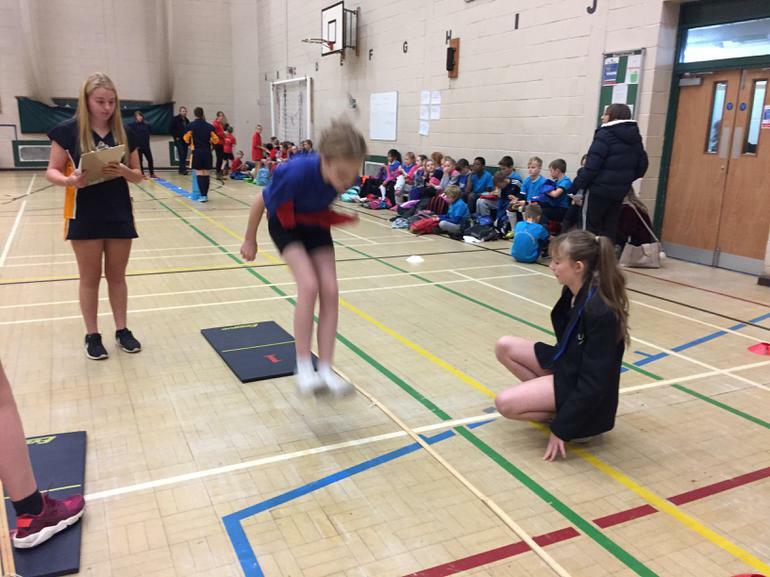 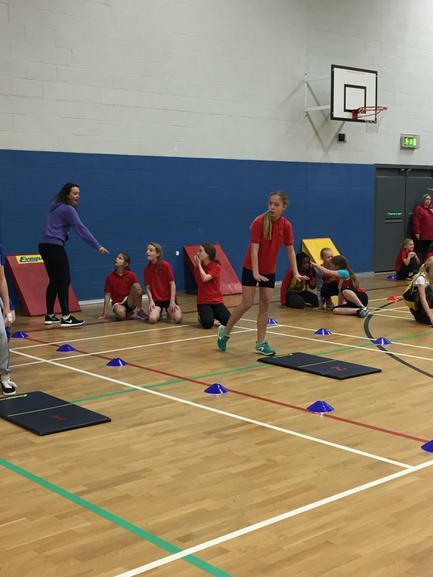 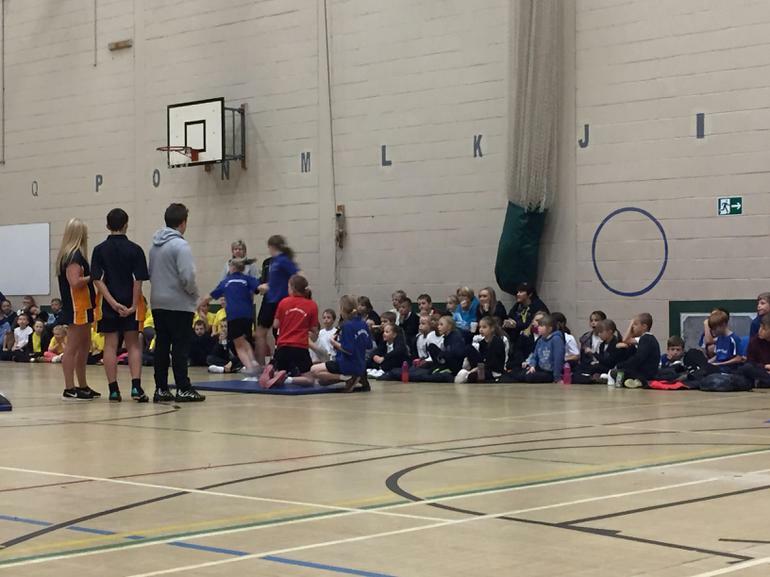 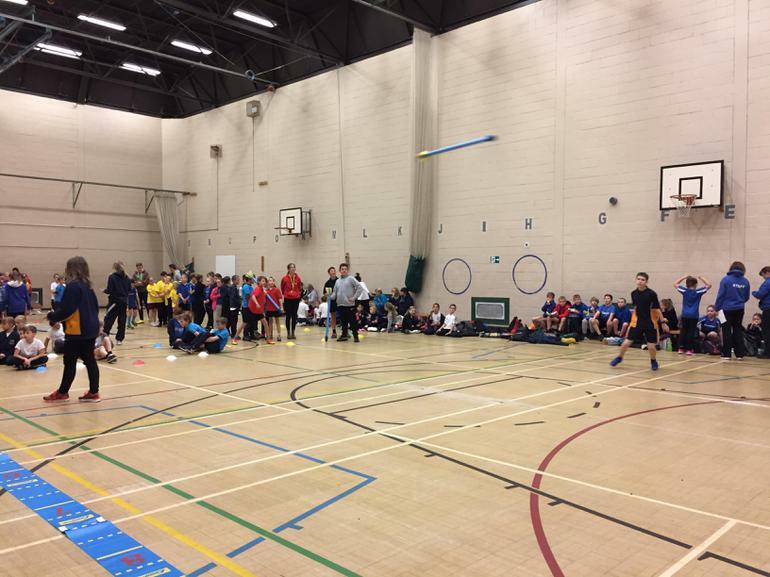 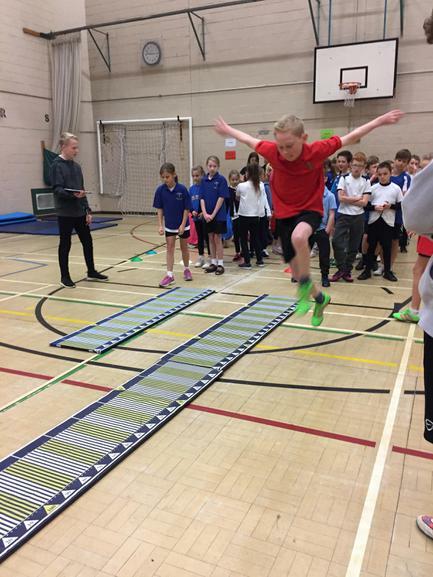 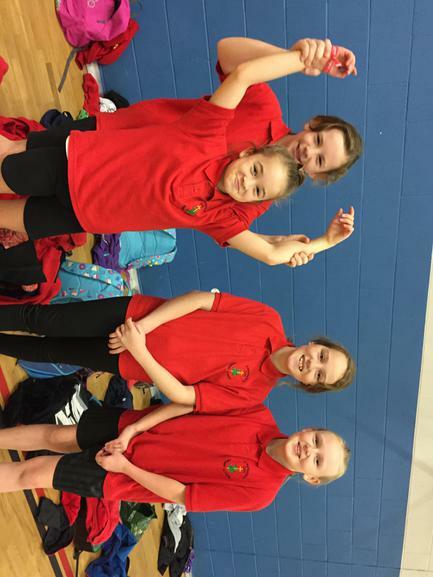 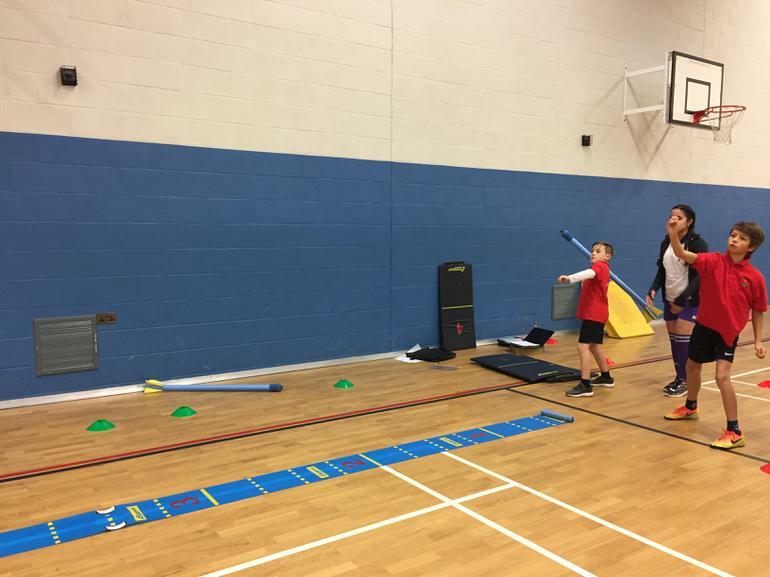 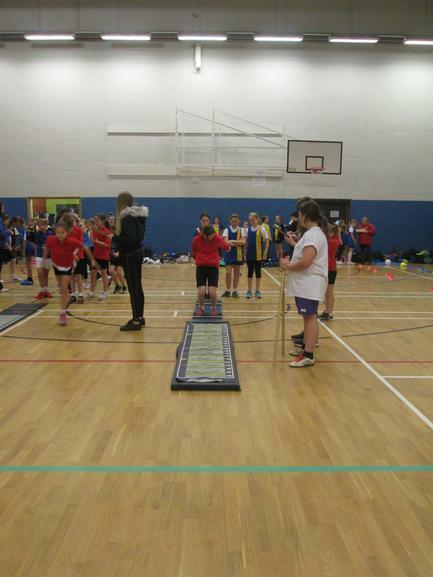 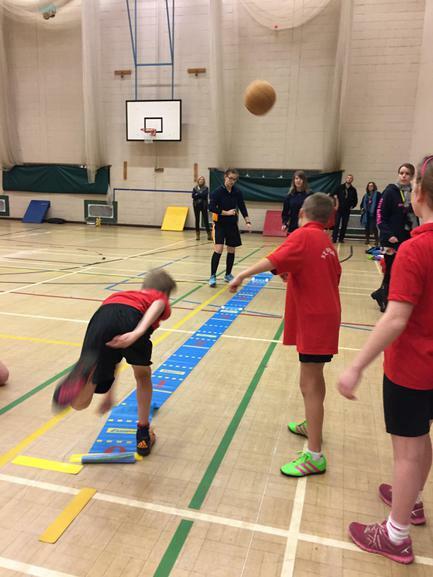 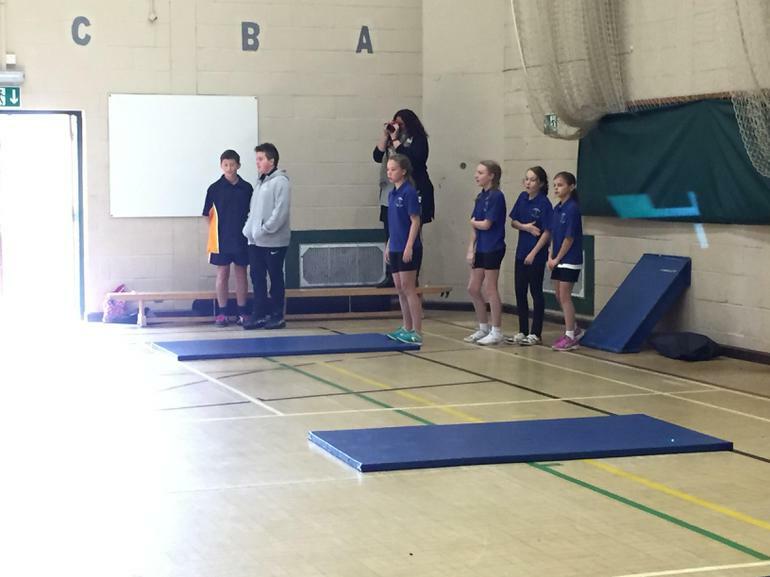 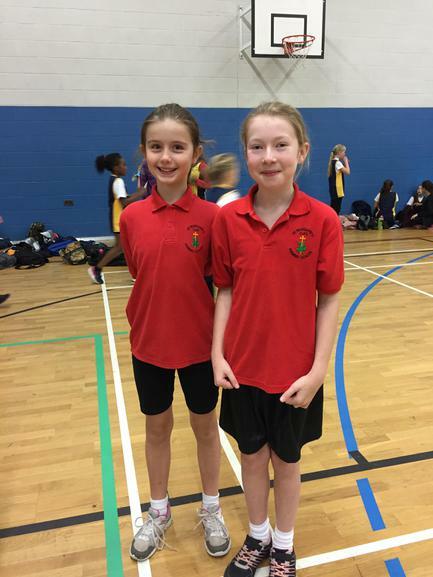 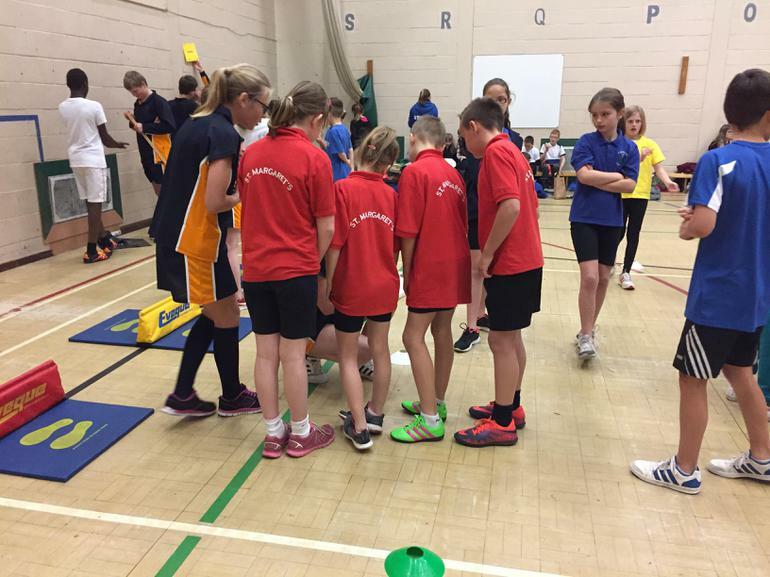 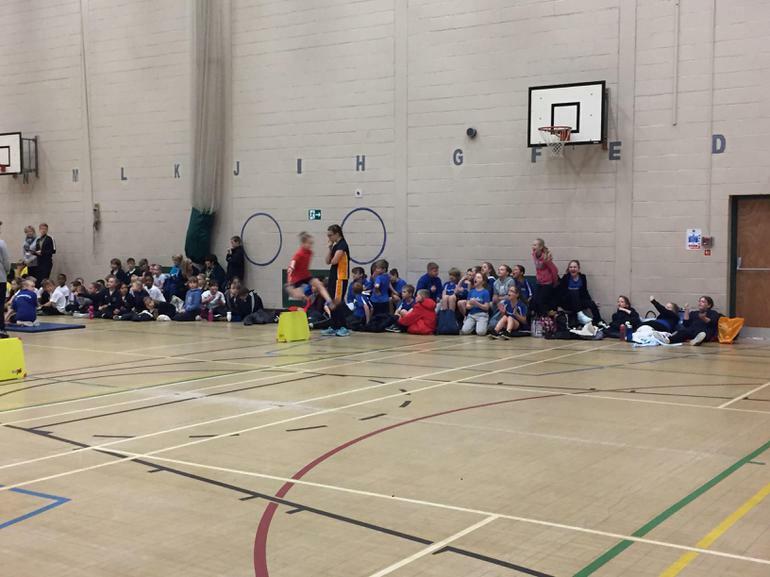 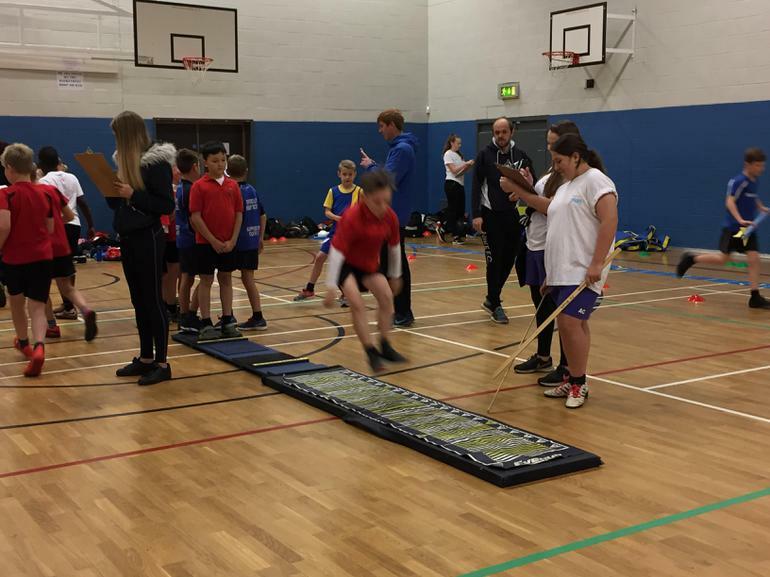 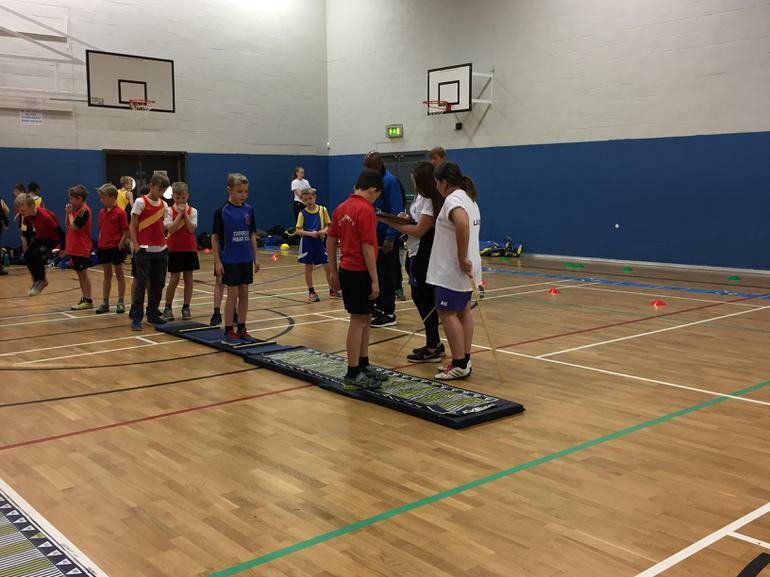 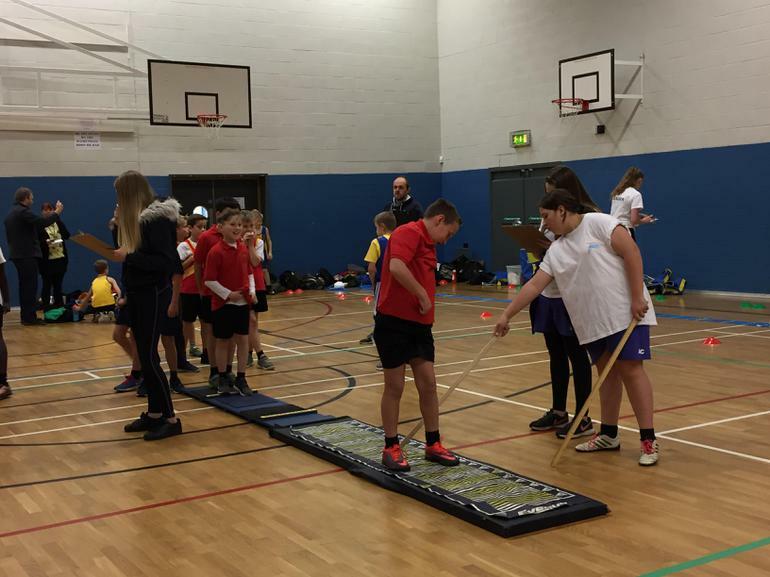 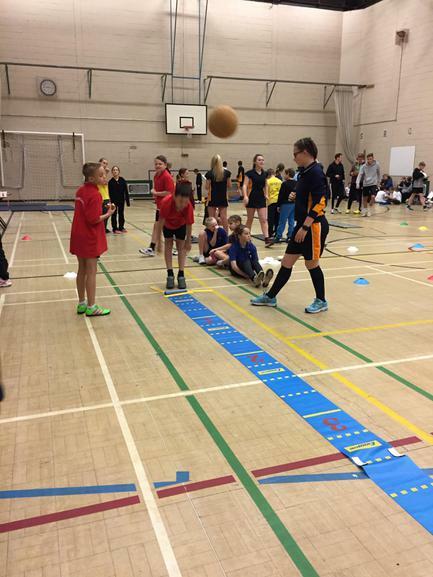 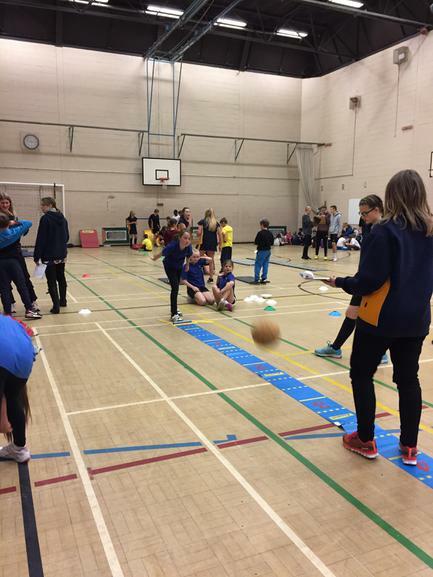 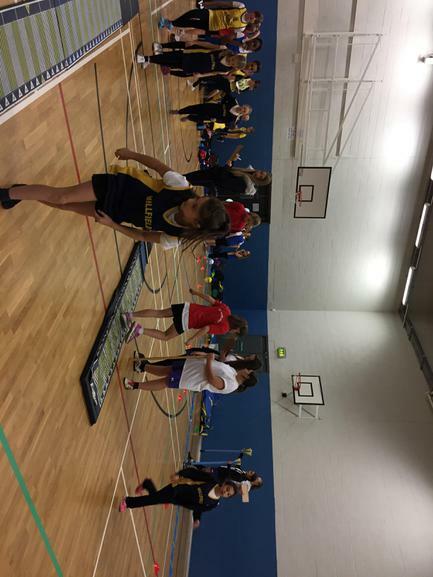 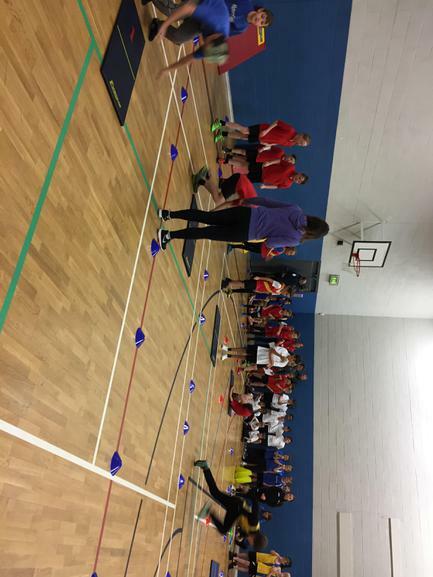 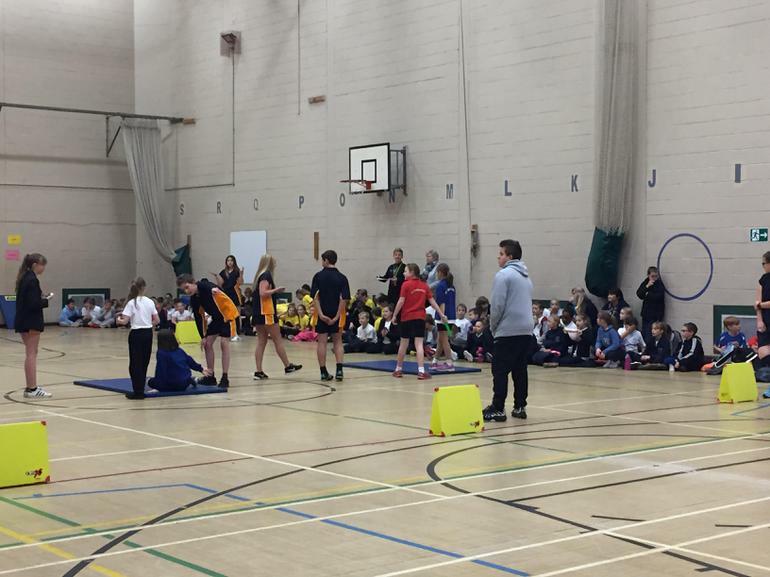 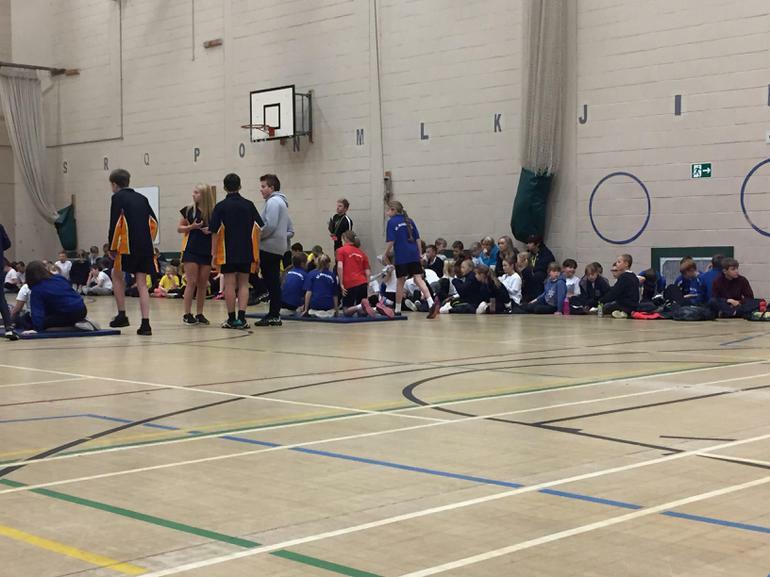 On Monday a team of 17 enthusiastic Year 6 children travelled to Heath Lane Academy, to represent St Margaret's in the first round of the Hinckley and Bosworth Sports Hall competition. 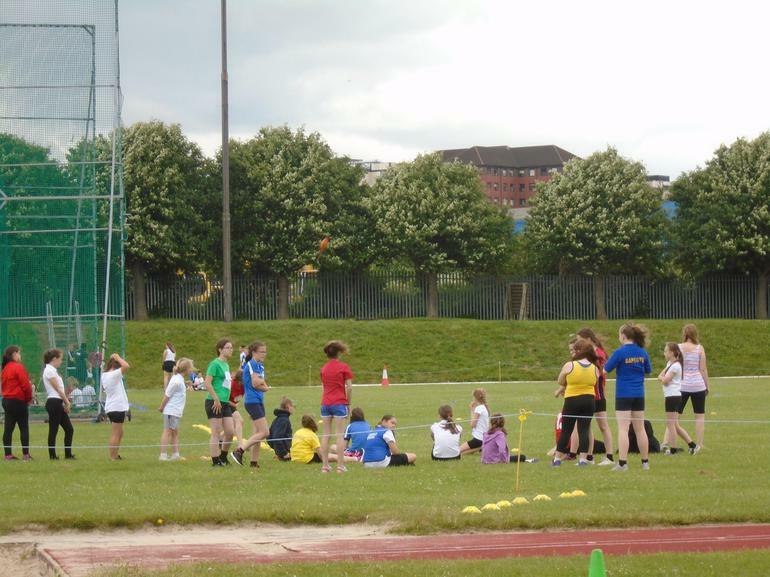 As usual, they all gave 100%, each taking part in 2 track races and 2 field events. 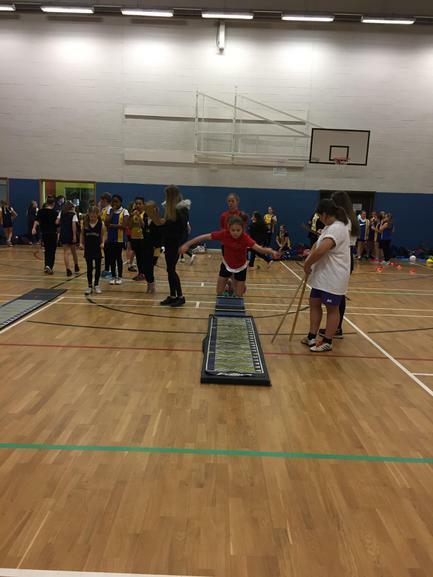 The team spirit was fantastic and the staff and parent helpers that went all felt extremely proud of the children's behaviour and the way they all supported and encouraged each other. 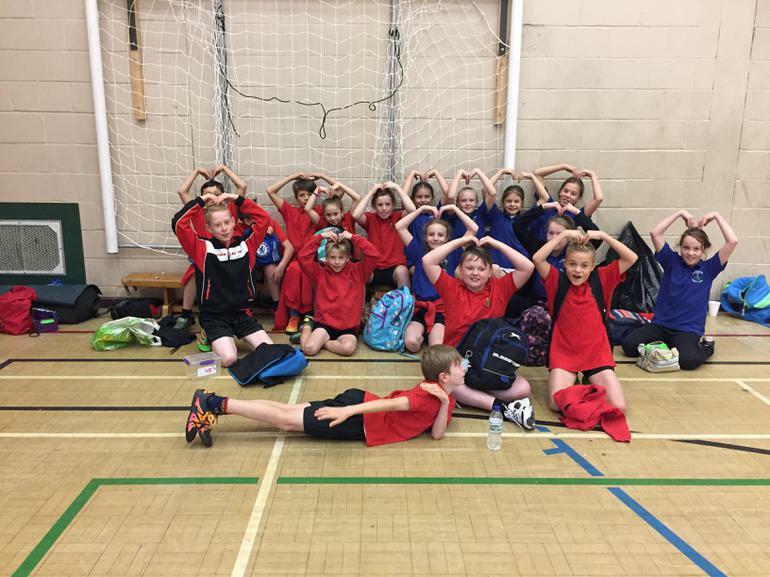 Excitingly, we found out the next day that we came second overall, meaning that we progressed to the next round on Thursday! 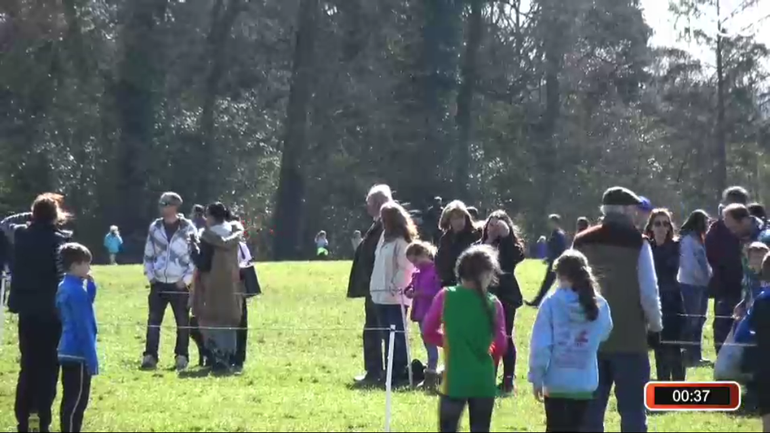 Thank you to the parent helpers who transported children and came to support us. 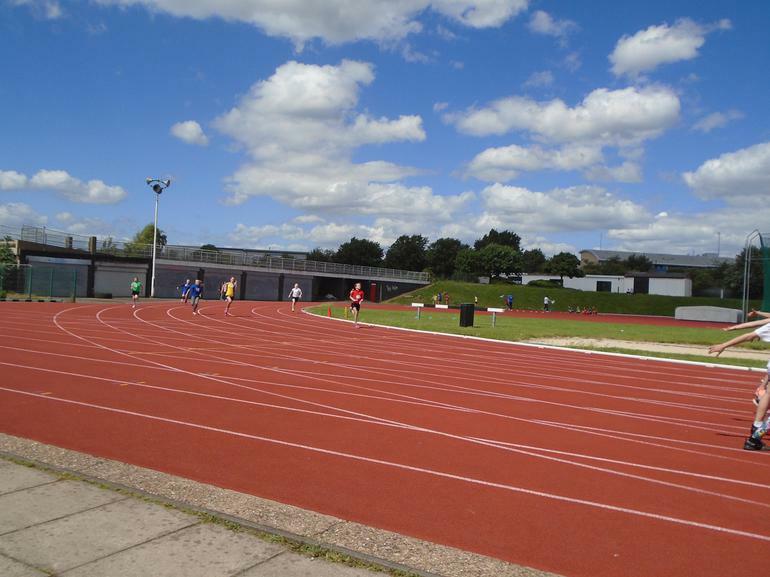 Watch this space next week for an update on how we got on. 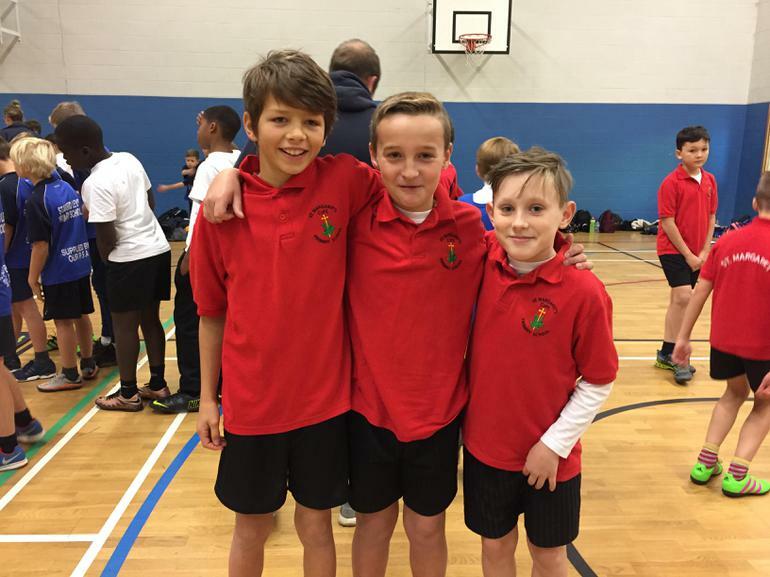 On Thursday 10th November, we travelled to Green Towers to join other top scoring teams in the finals of the competition. 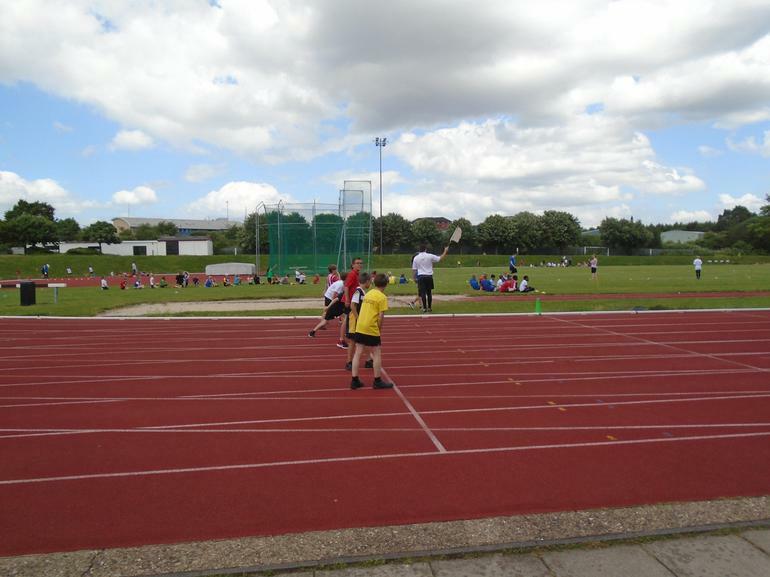 The day was challenging, with each of our children participating in several track and field events. 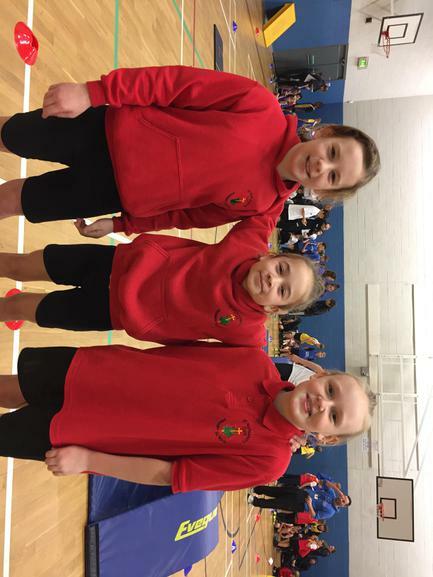 At the end of the competition we were delighted to find out that we were runners up, with St Peter's Primary in Market Bosworth taking first place. 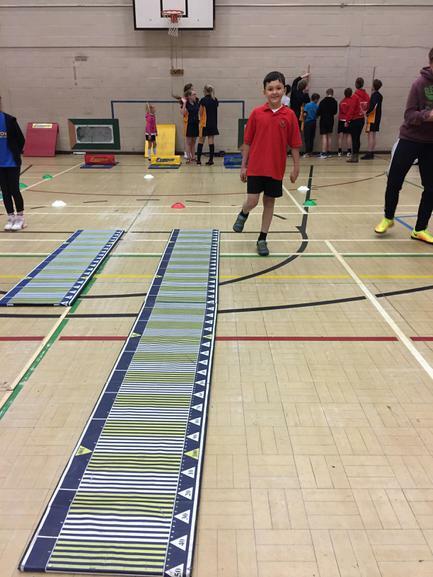 Well done to all of the children who took part.